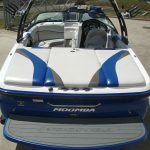 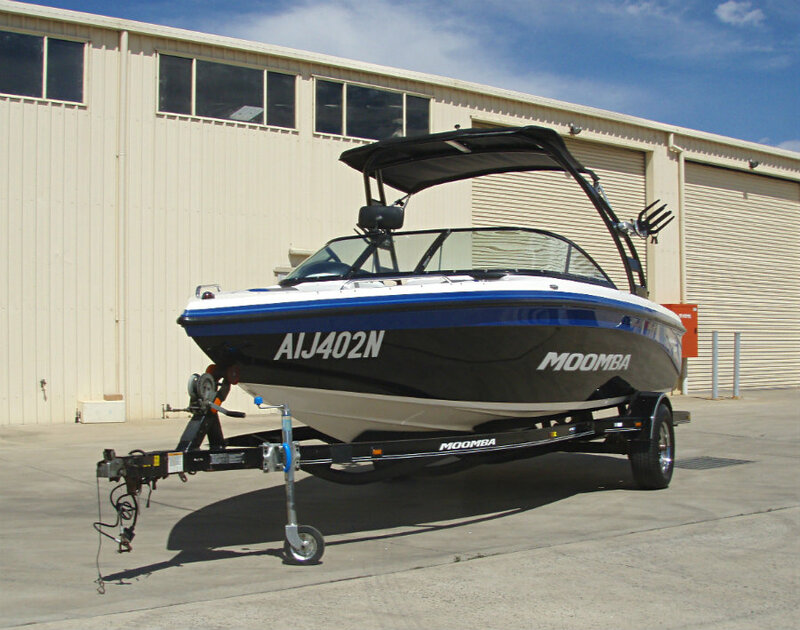 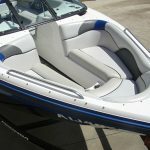 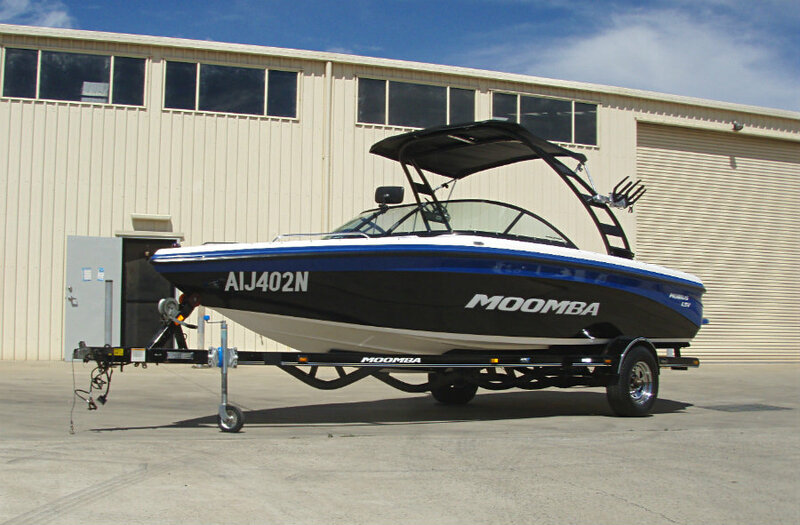 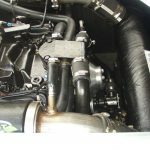 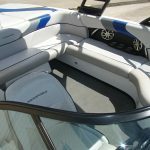 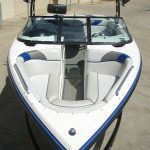 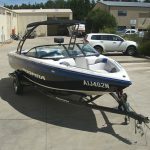 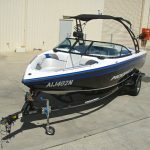 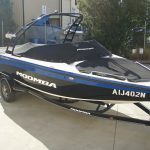 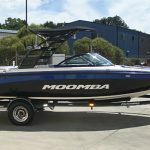 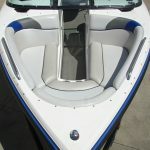 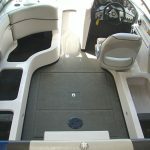 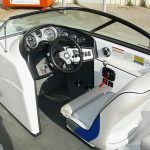 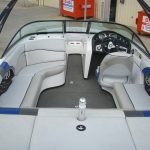 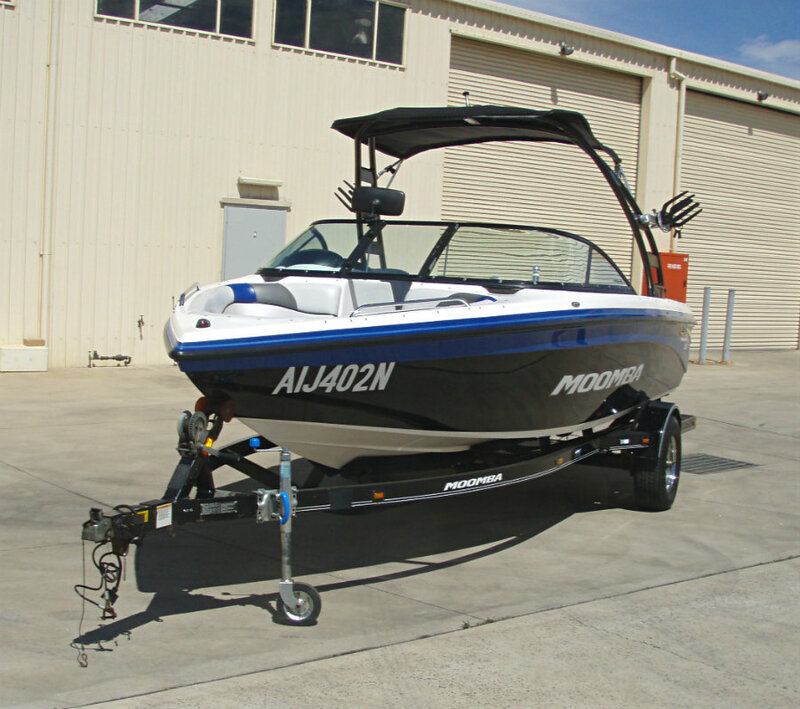 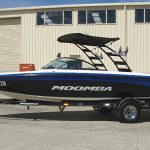 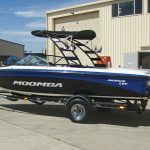 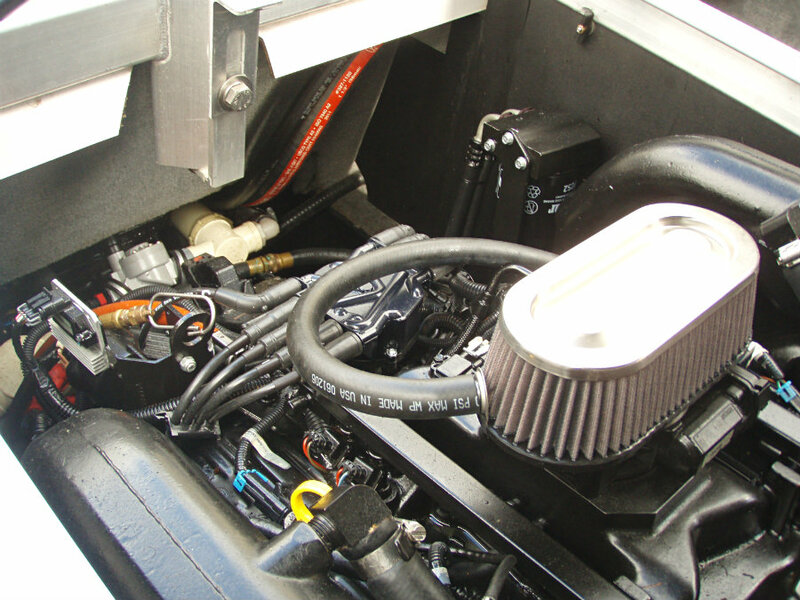 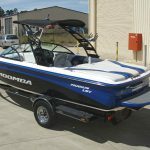 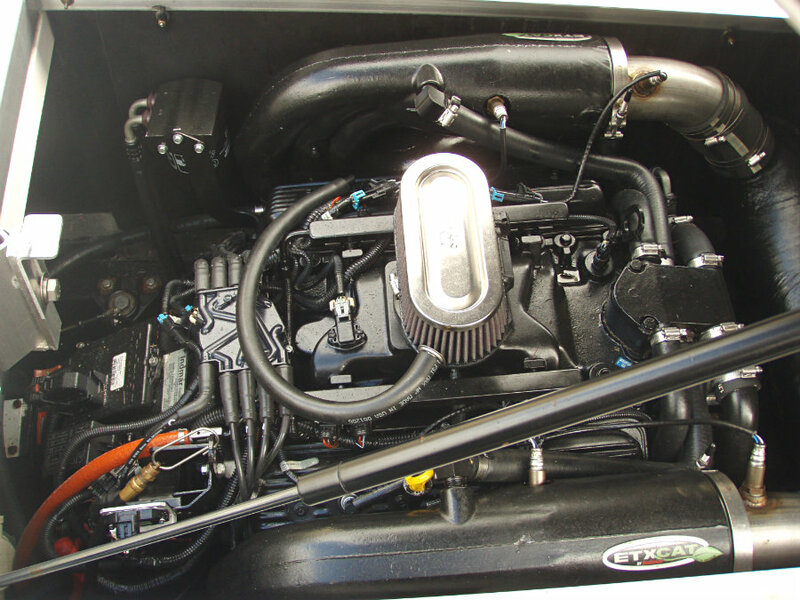 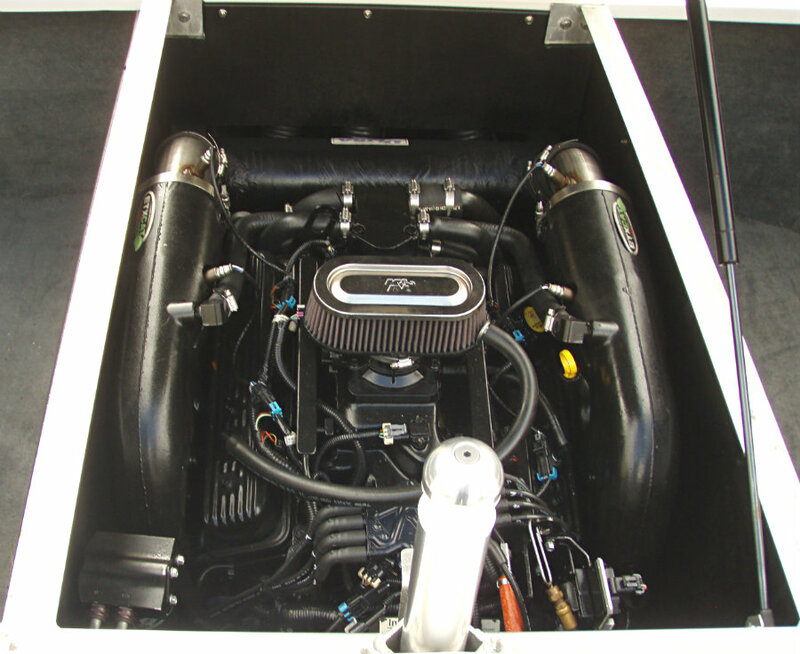 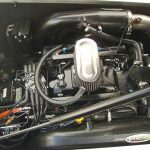 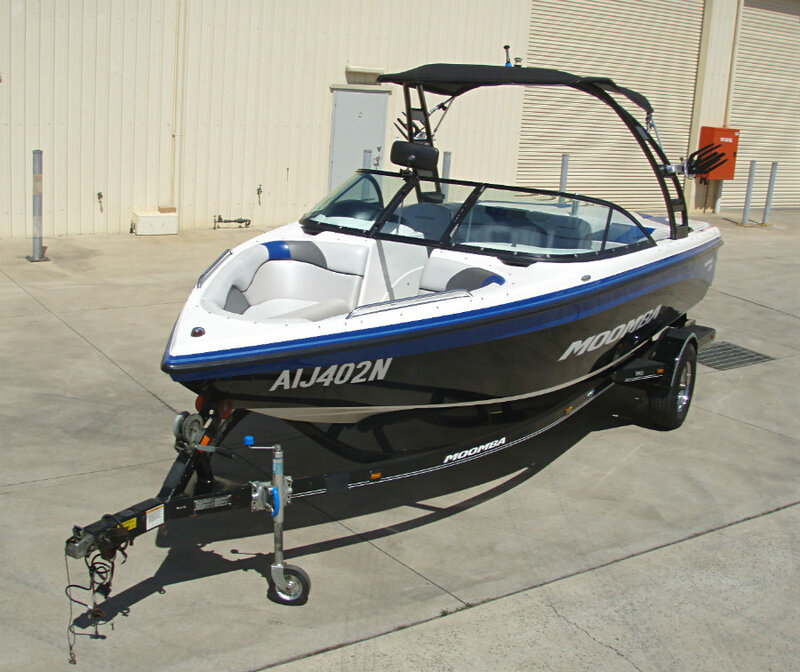 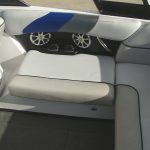 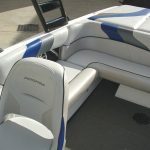 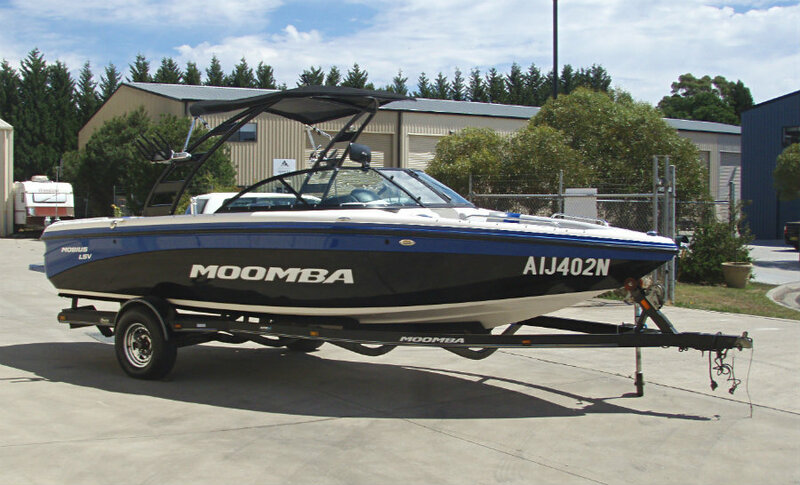 2012 Moomba Mobius LSV wakeboard boat powered by a 5.7L V8 330hp MPI Indmar ‘Assault’ inboard engine with V-drive and only 327 hours of use. 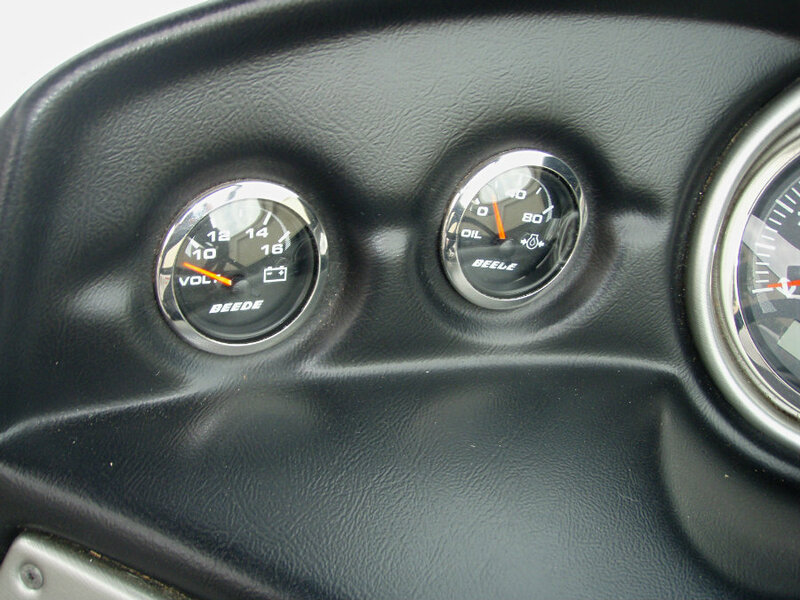 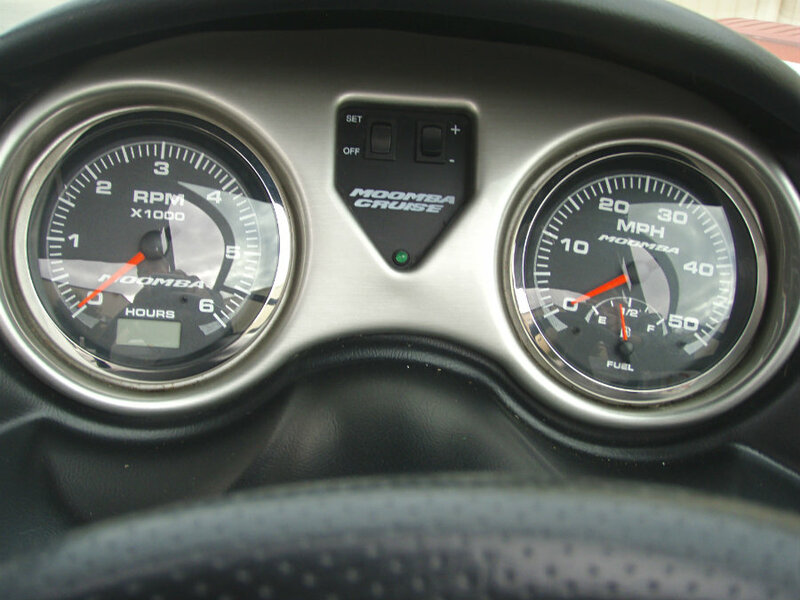 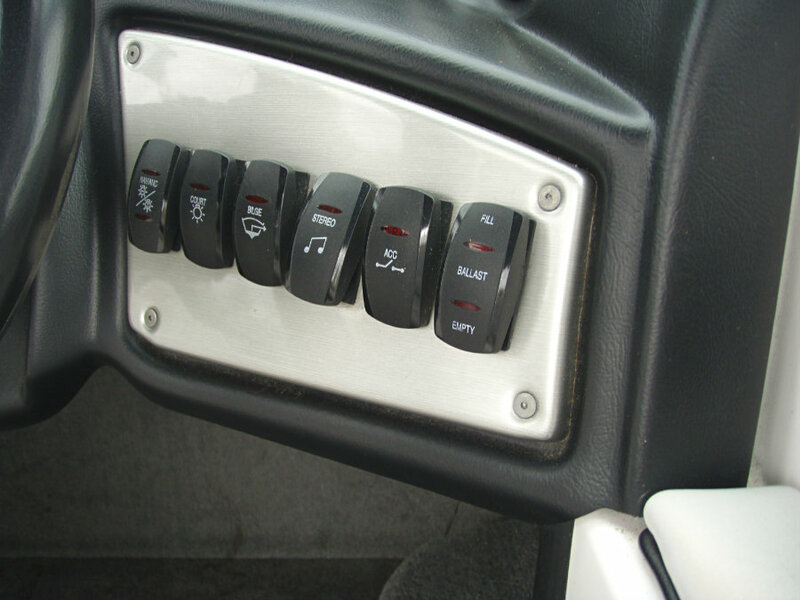 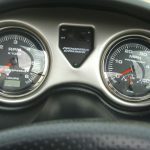 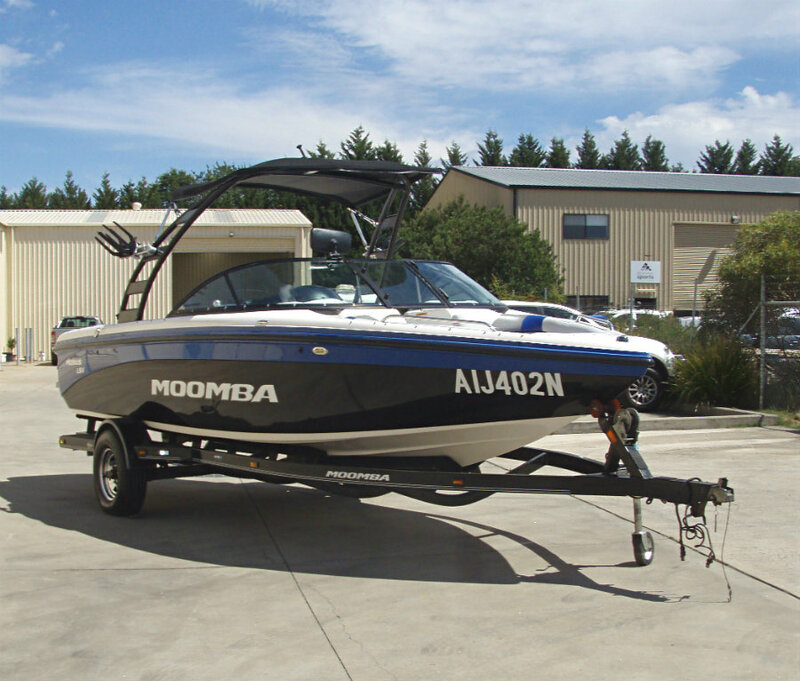 “No worries,” describes simplicity, performance, reliability and value. 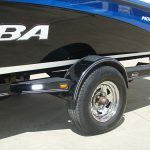 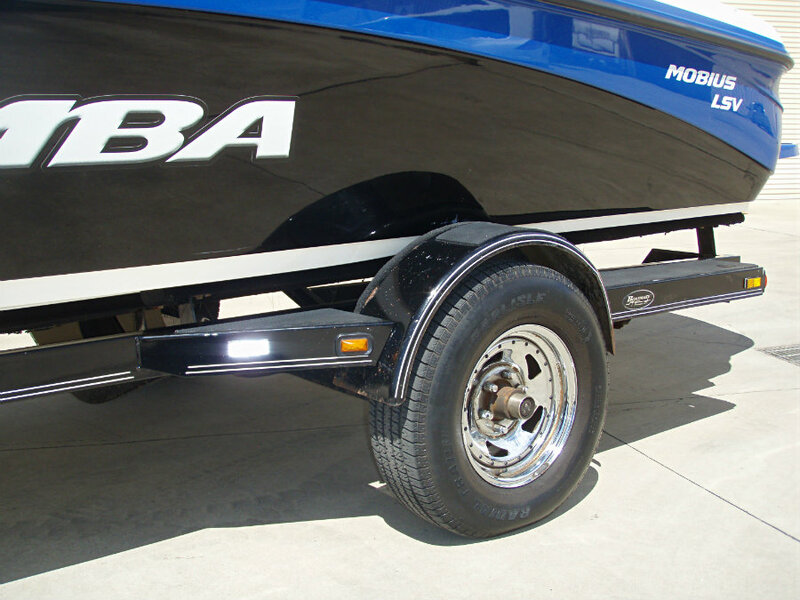 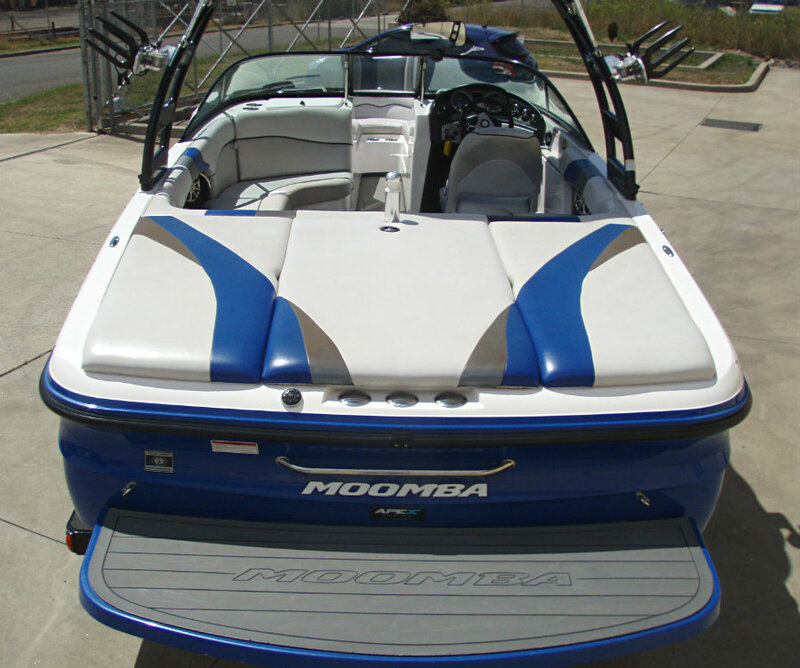 And there is no Moomba boat model that embodies this mantra more perfectly than the #1 selling Mobius LSV. 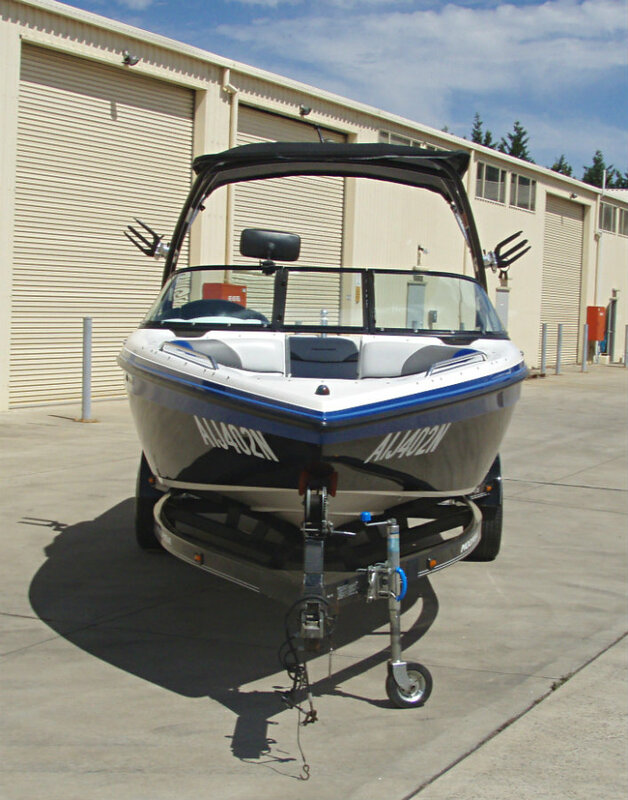 At 21 feet 6 inches, the LSV is literally the perfect size. 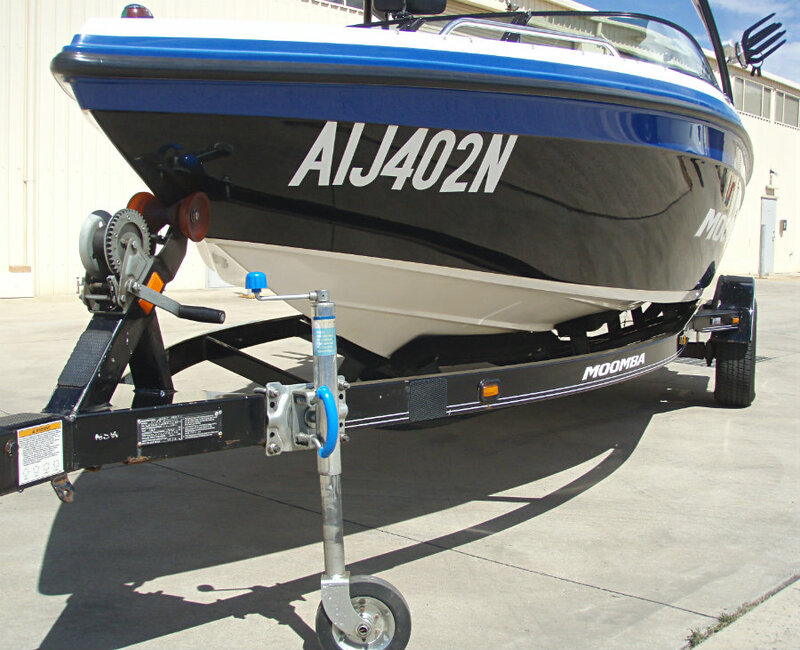 Big enough to fit all your friends, but small enough to garage, trailer and handle with ease. 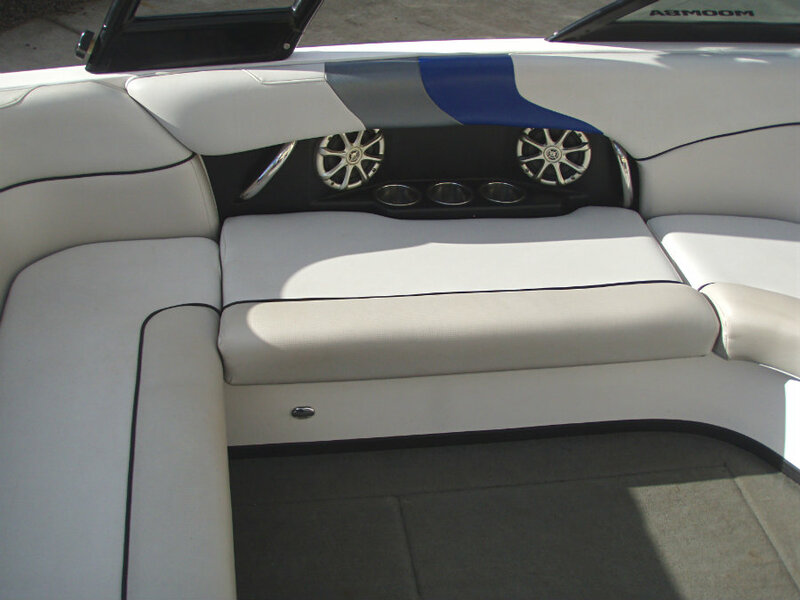 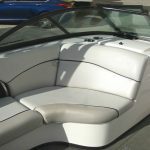 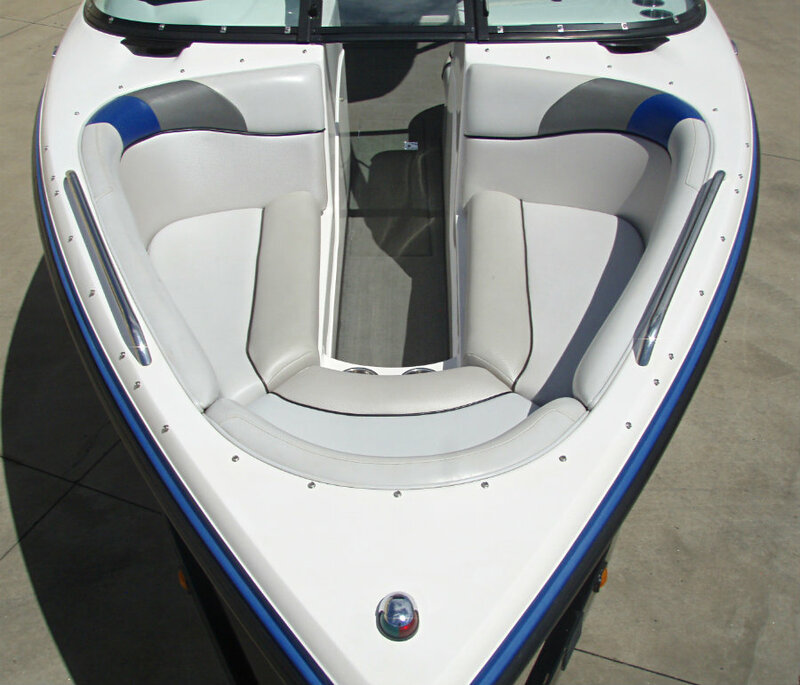 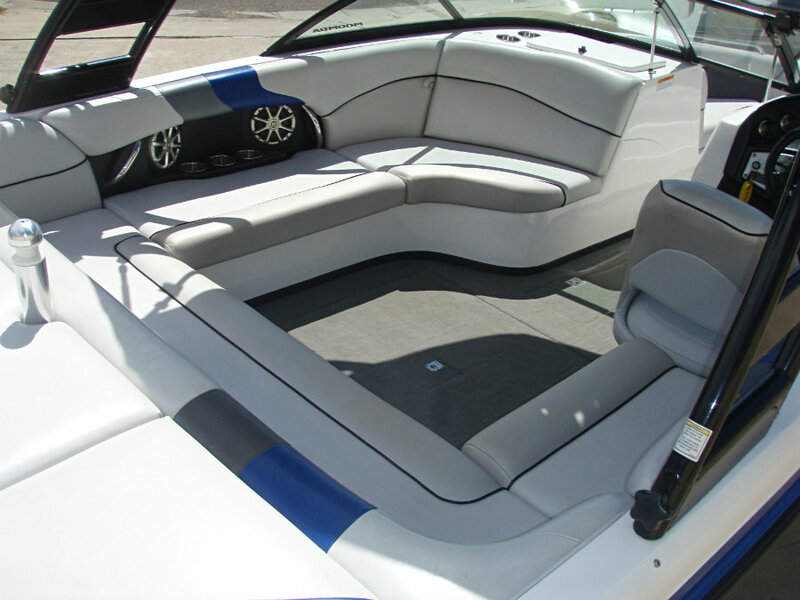 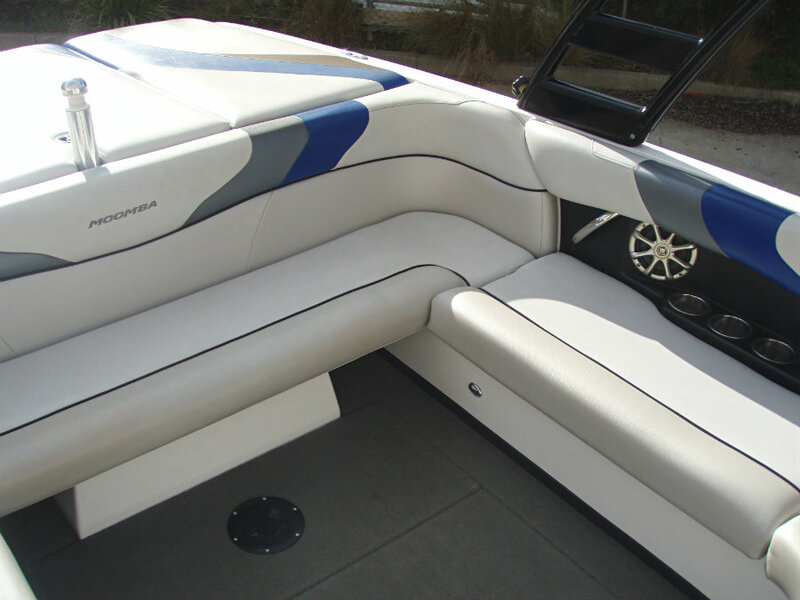 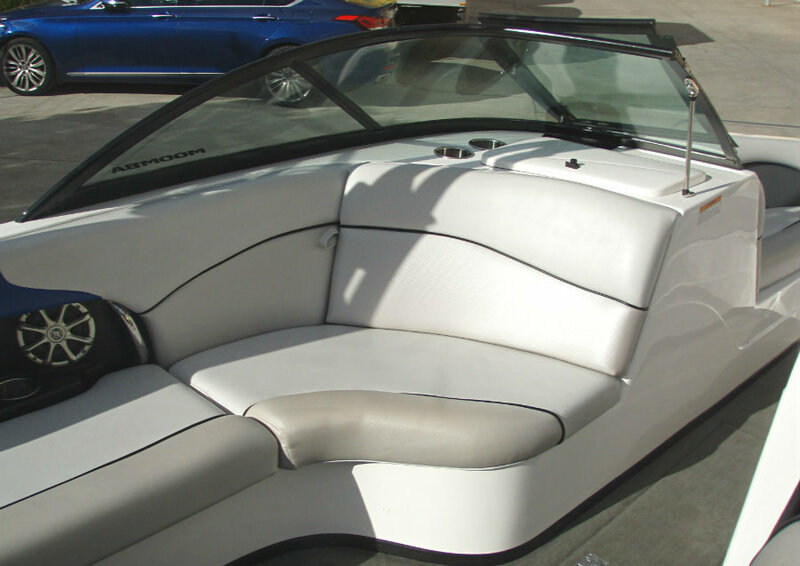 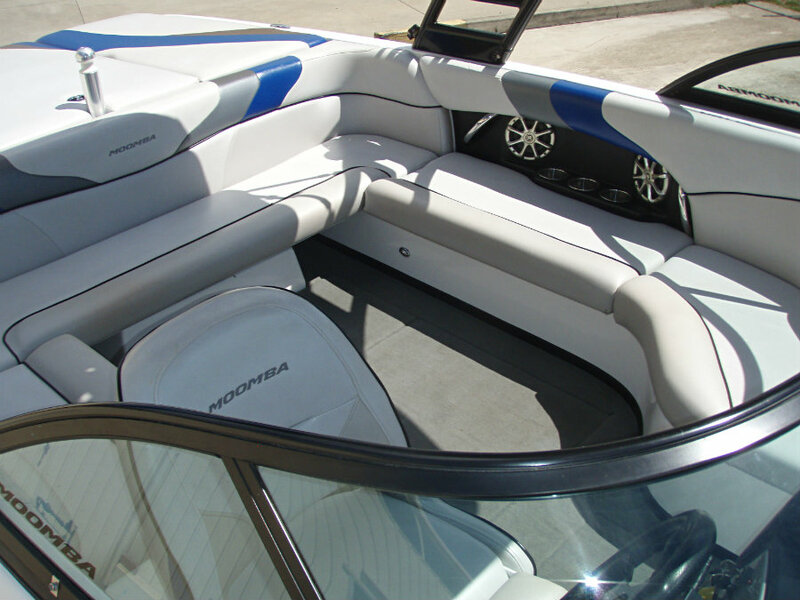 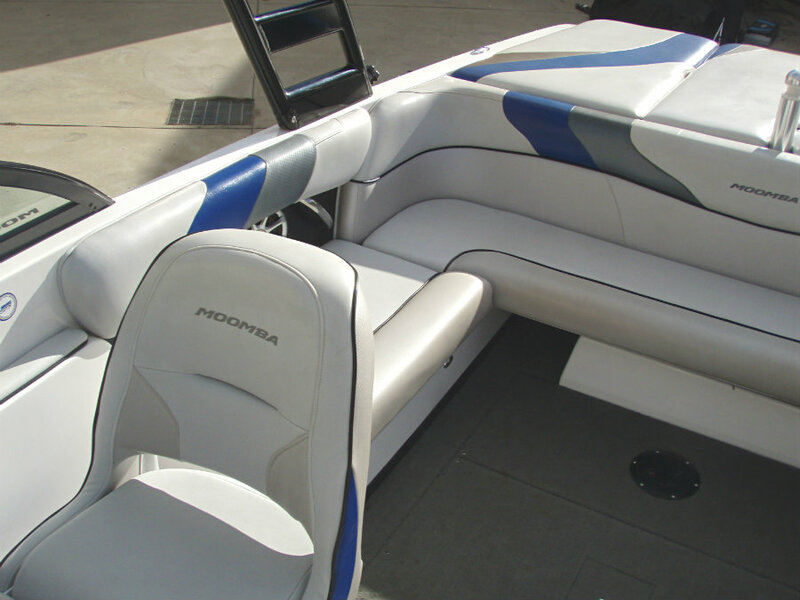 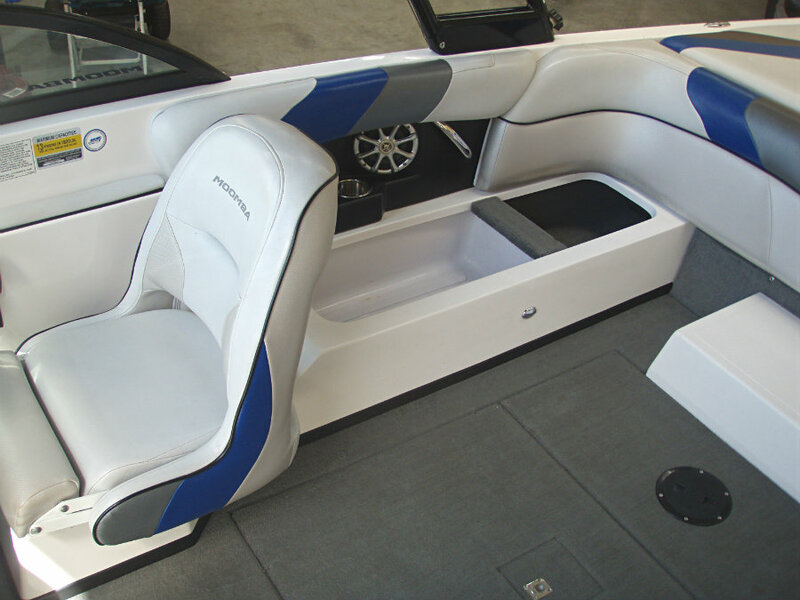 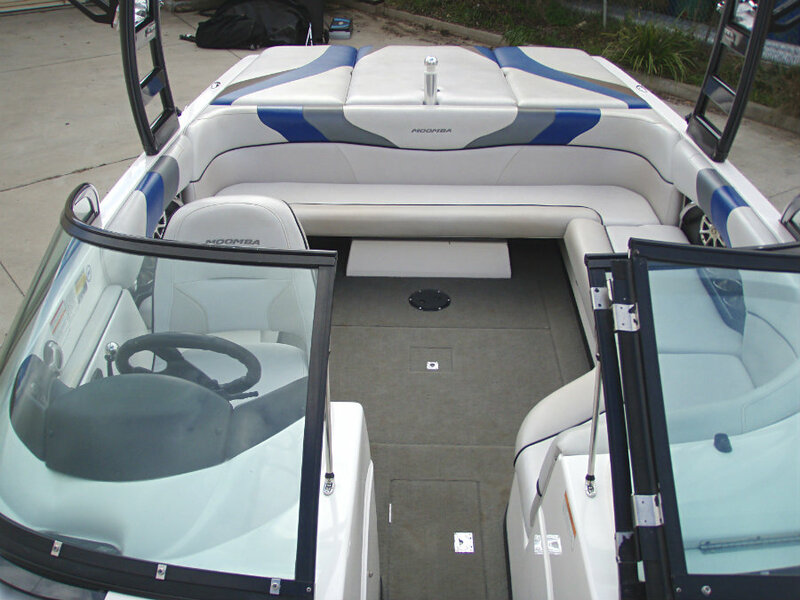 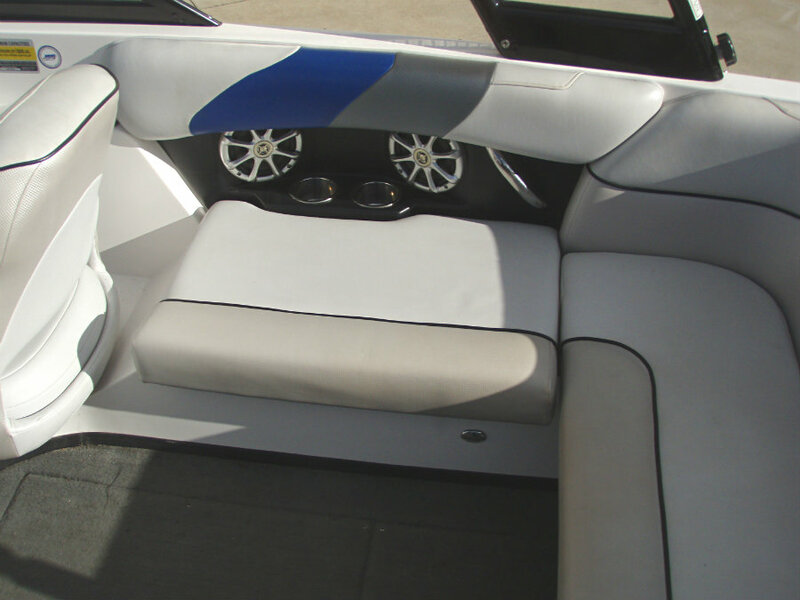 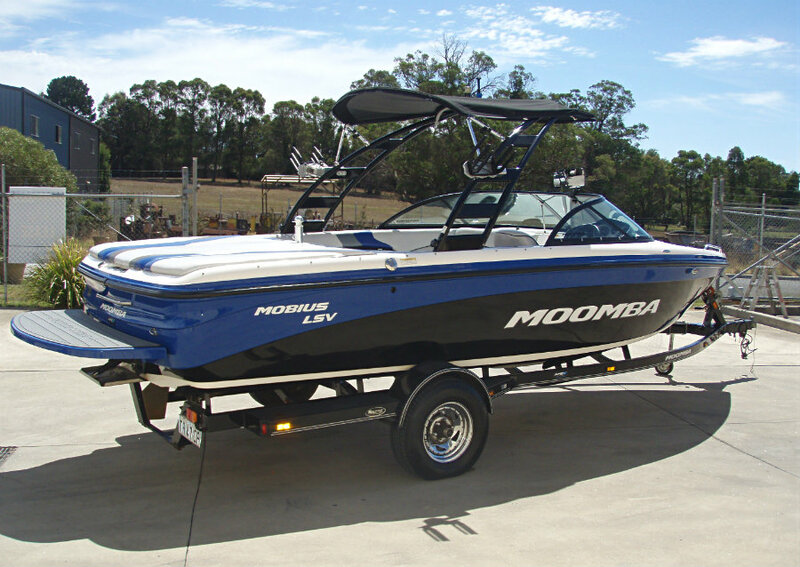 The LSV is the, “have your cake and eat it too,” star of the Moomba line. 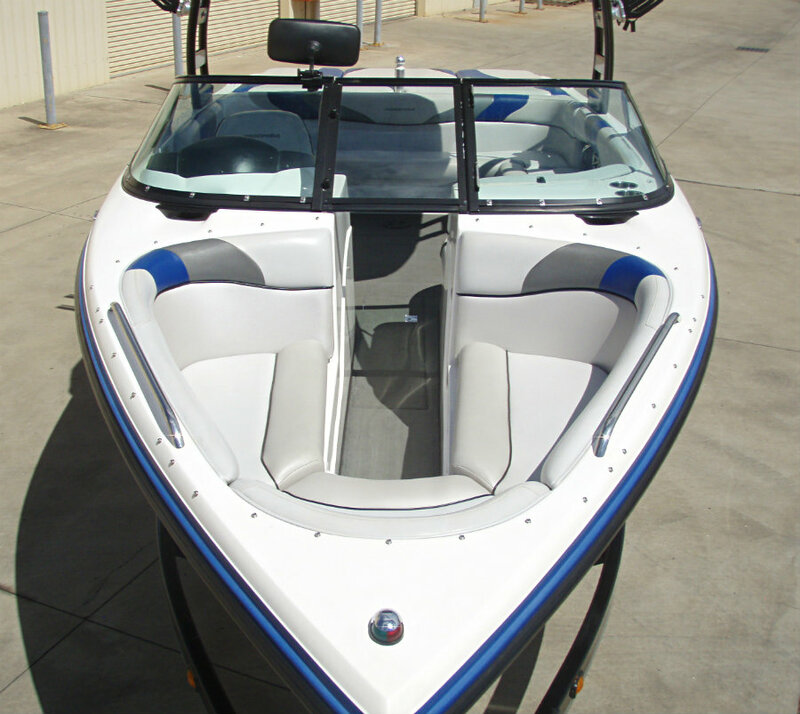 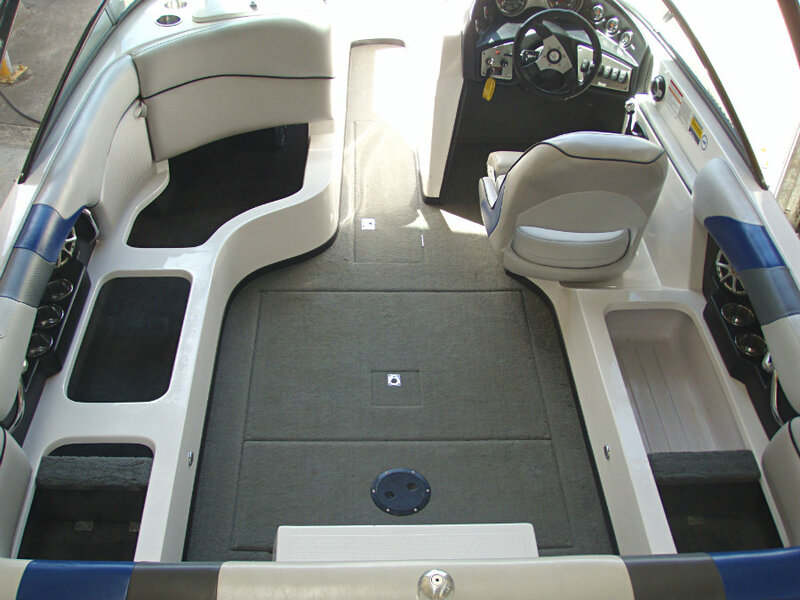 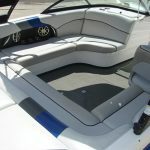 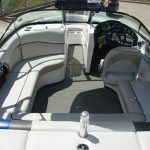 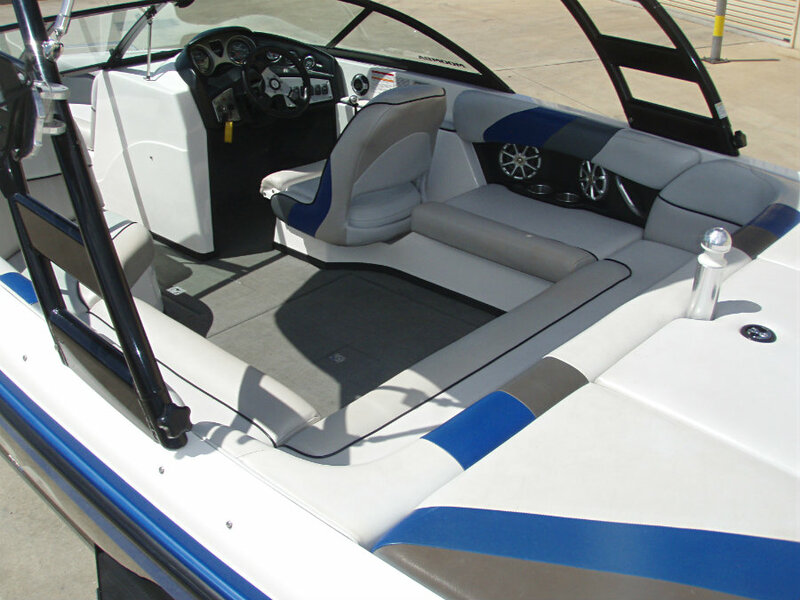 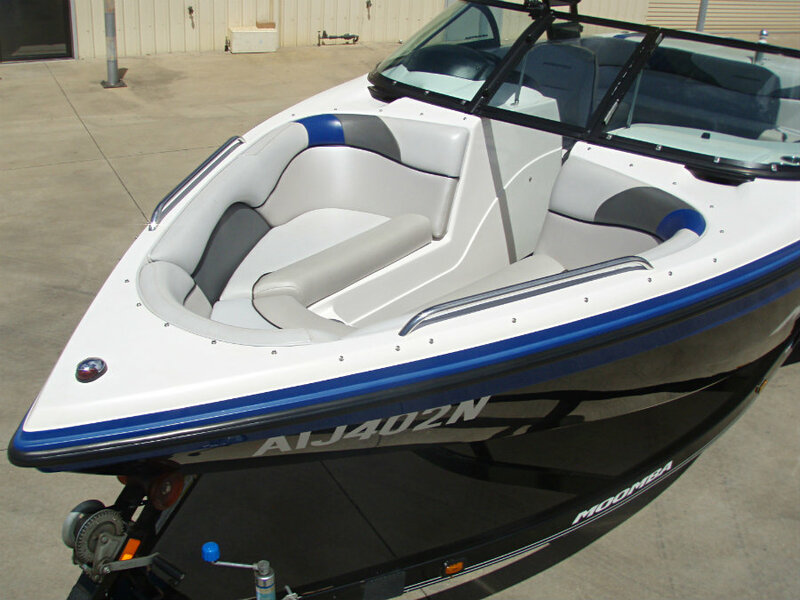 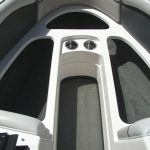 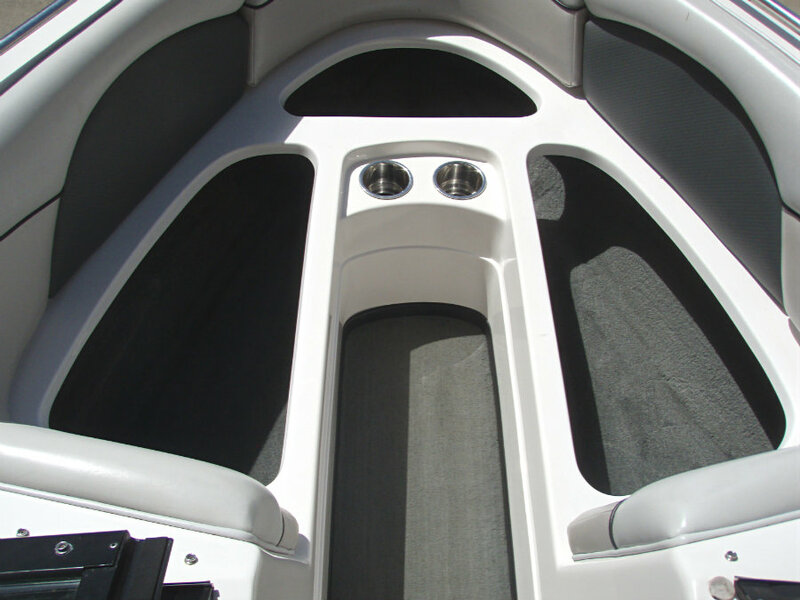 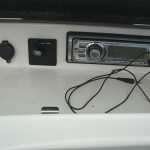 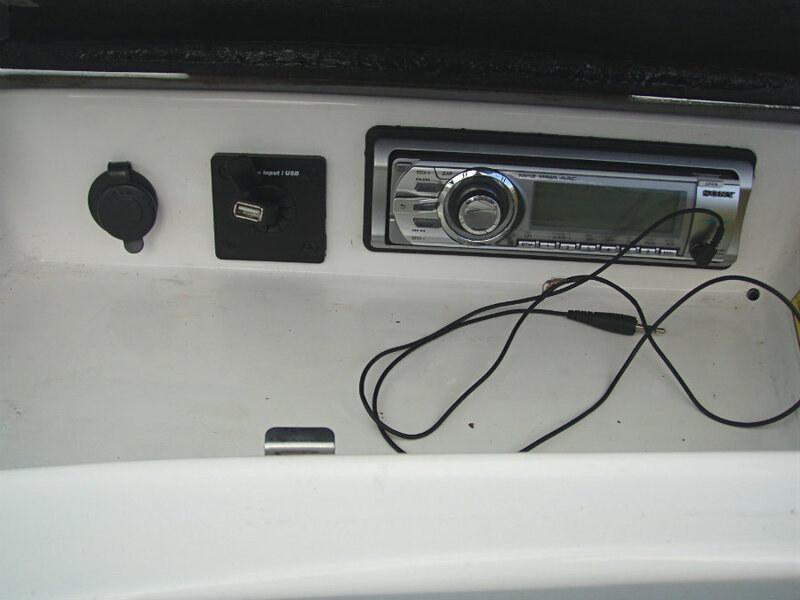 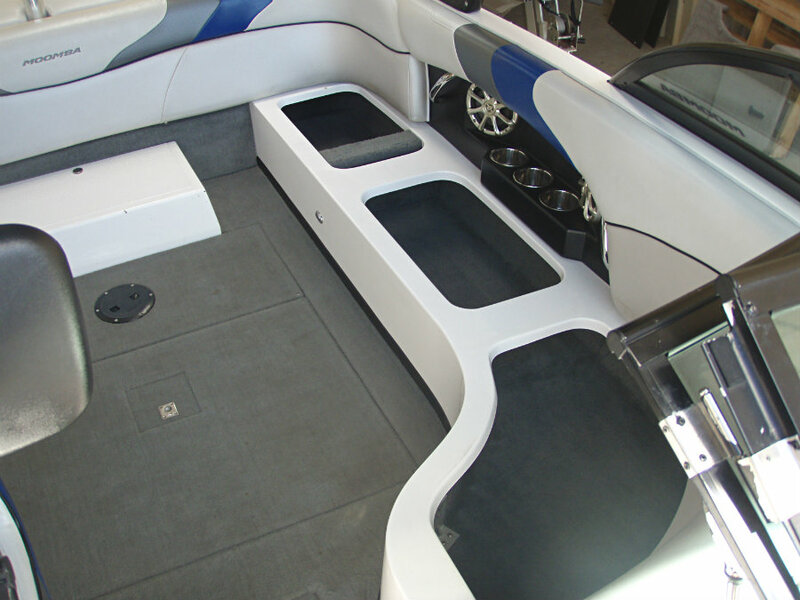 This wakeboard boat is, everything you need to and nothing you don’t. 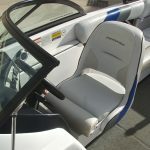 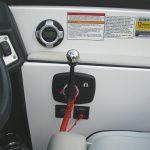 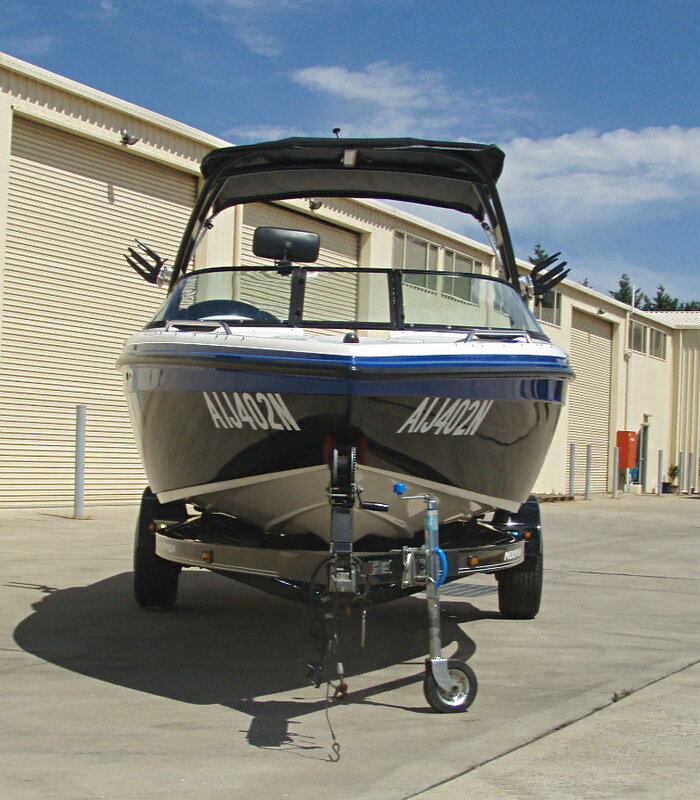 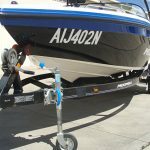 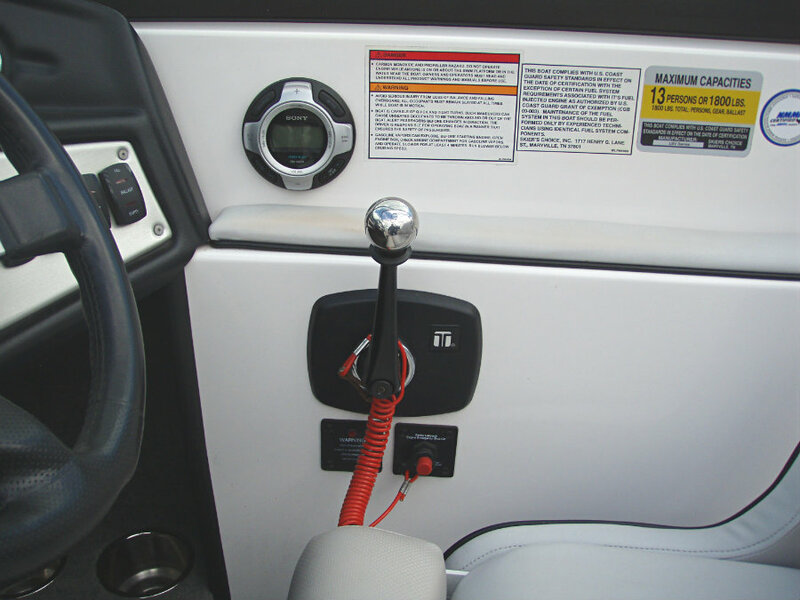 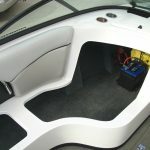 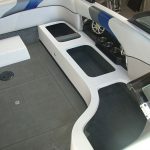 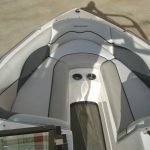 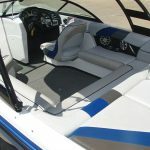 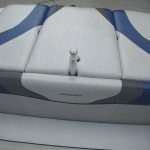 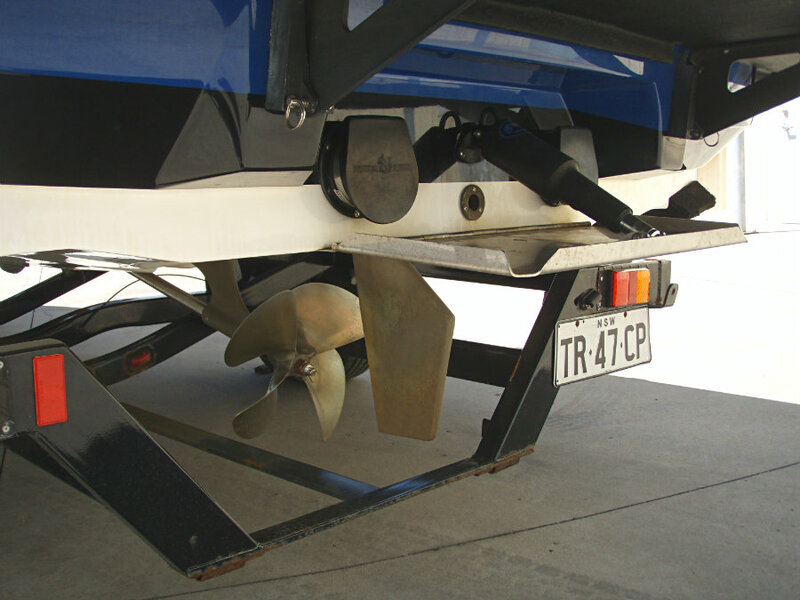 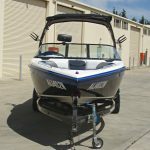 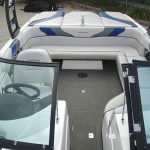 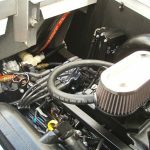 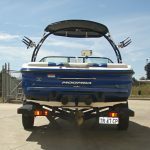 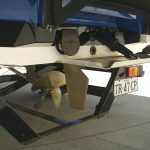 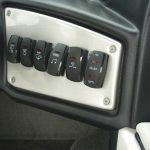 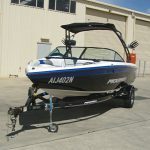 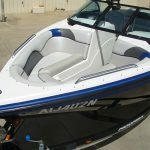 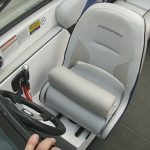 The quickly collapsible Oz Tower joins other standard features like Digital Cruise, Gravity Ballast, the Multisport Wakeplate, a Sony sound system, a BoatMate trailer and the new catalyzed Indmar Assault 330 horse power engine. 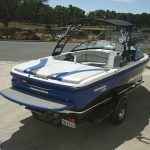 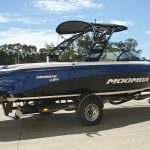 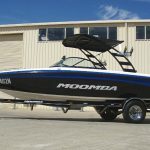 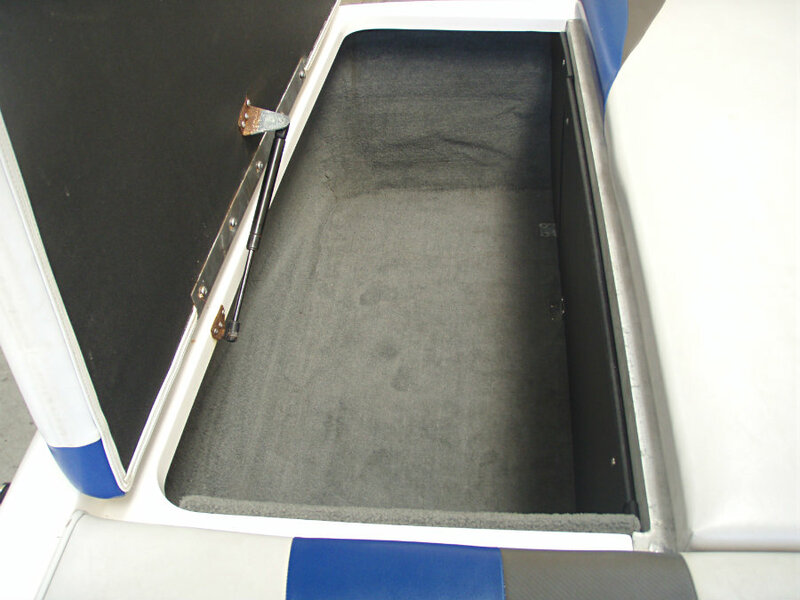 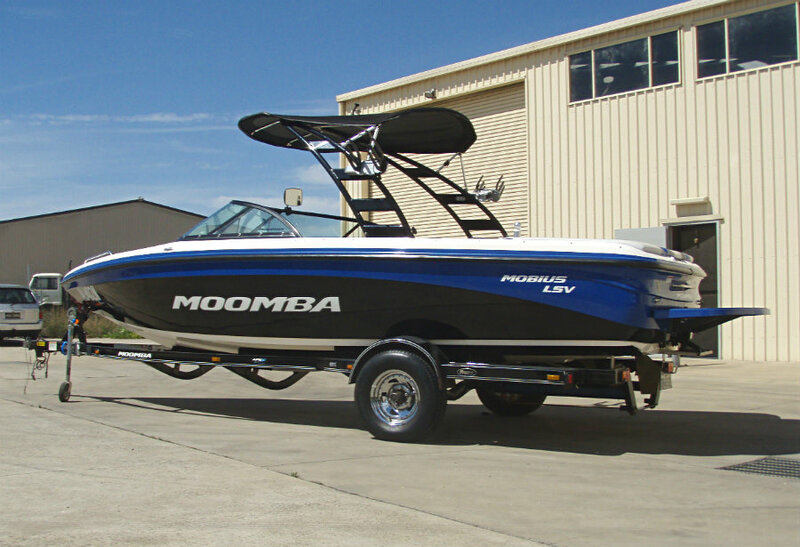 So, the Moomba Mobius LSV is the best wakeboard boat for you, if you want the following :- (1) ‘do-it-all’ versatility, and (2) an easy-to-handle package at an ultra-affordable price. 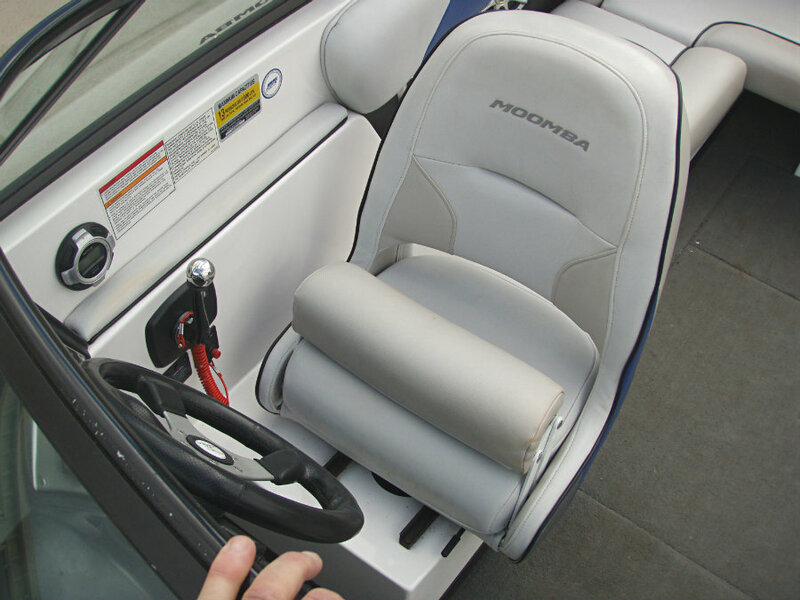 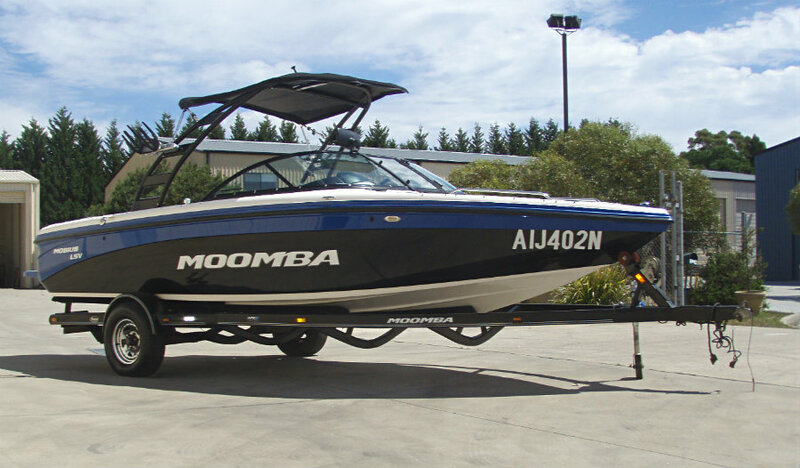 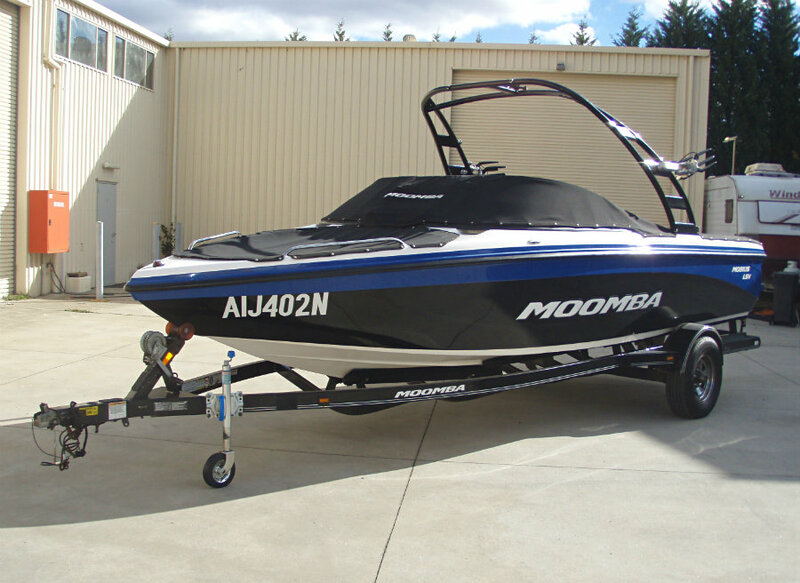 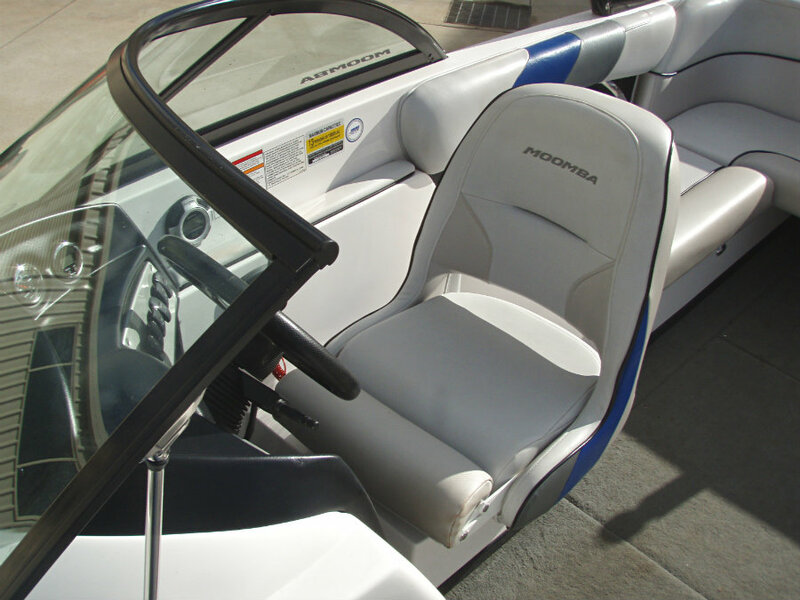 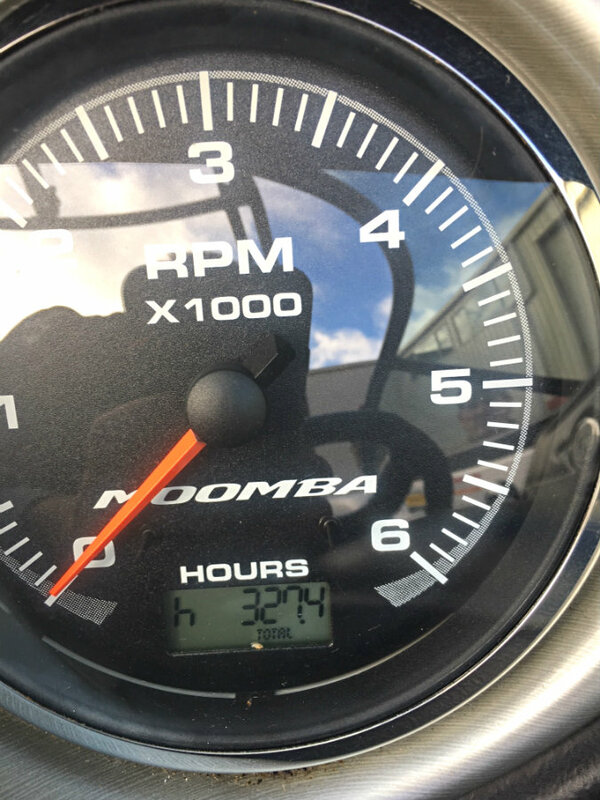 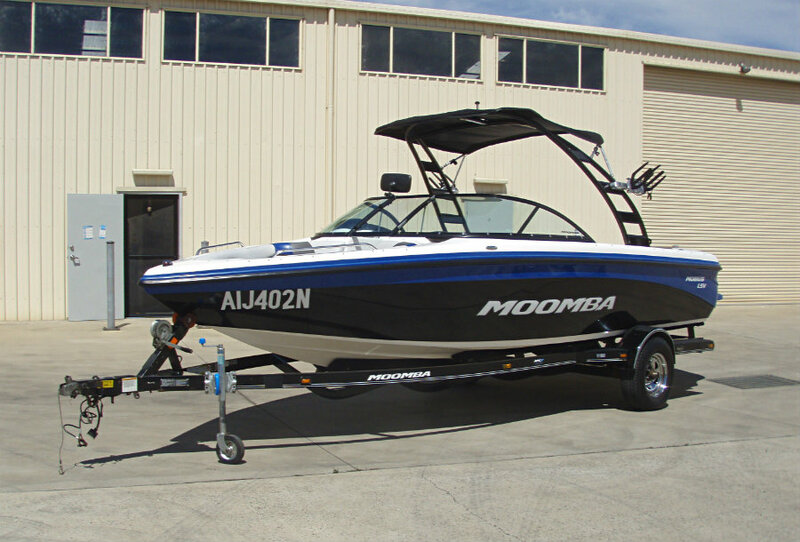 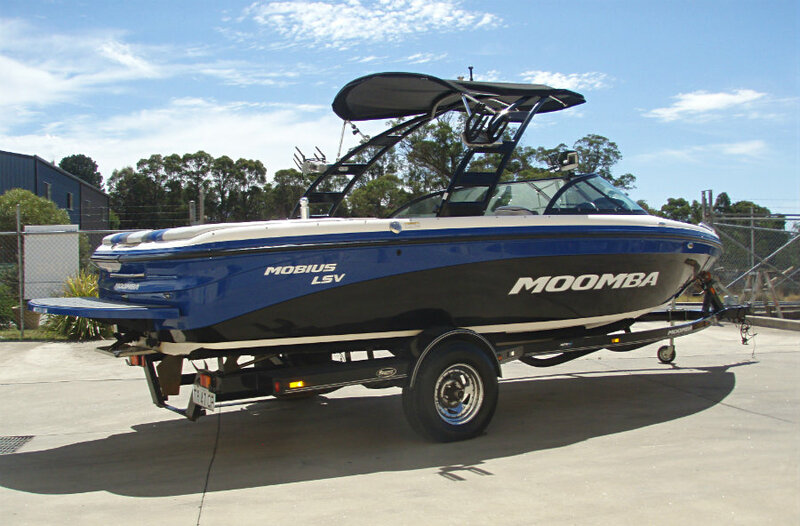 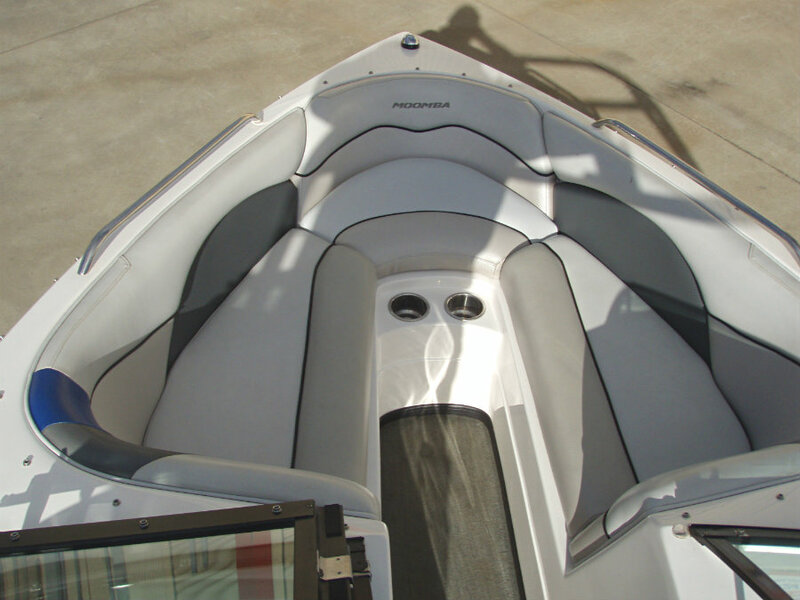 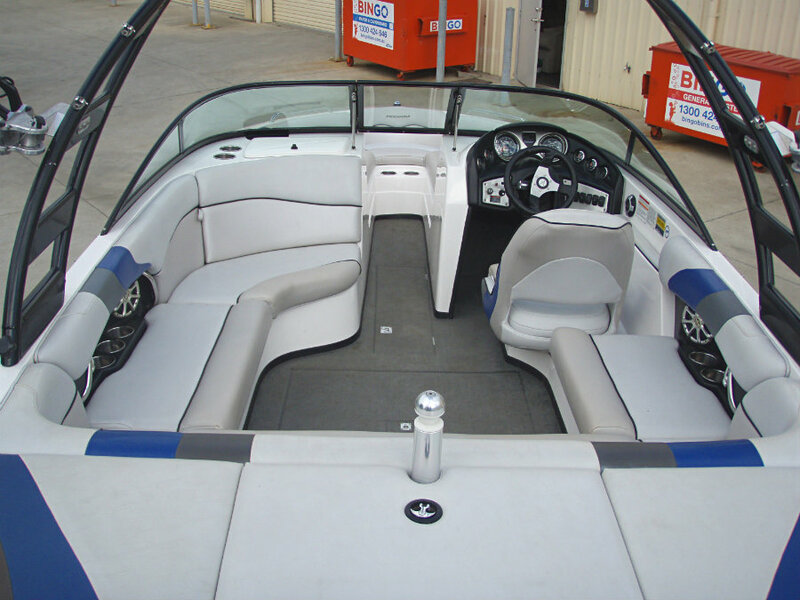 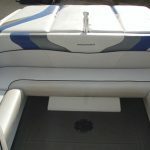 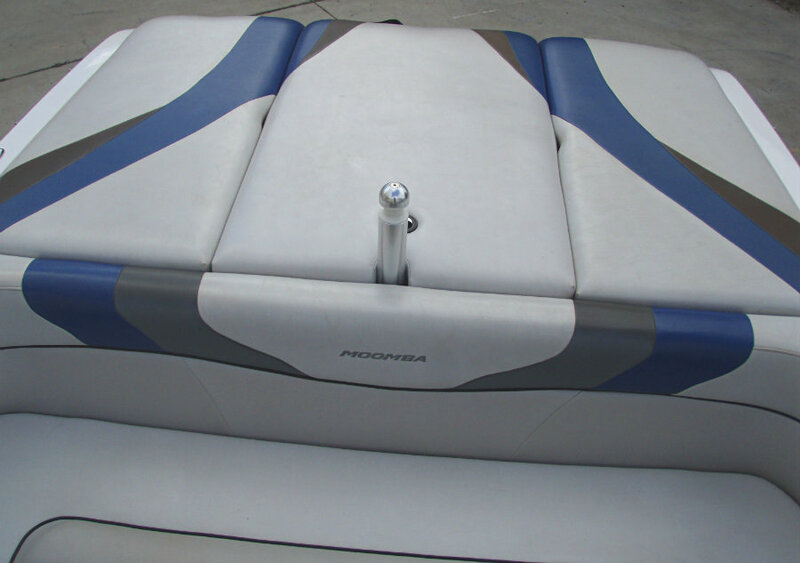 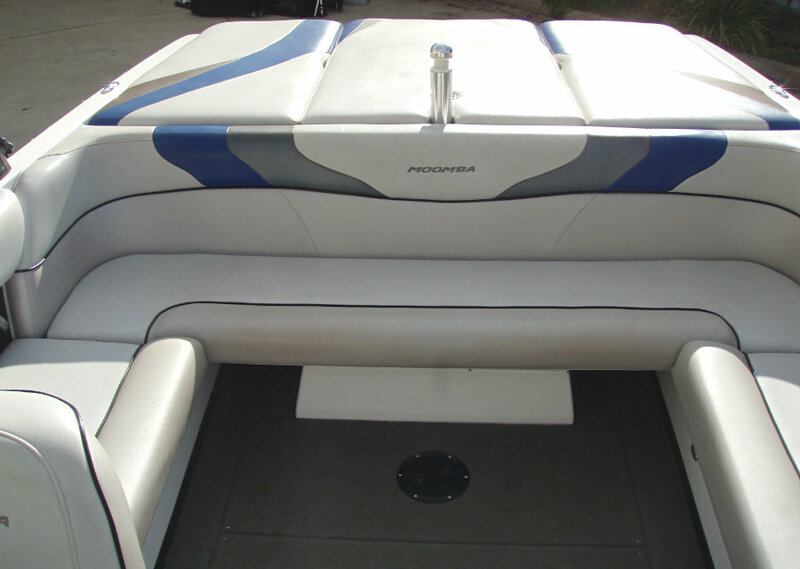 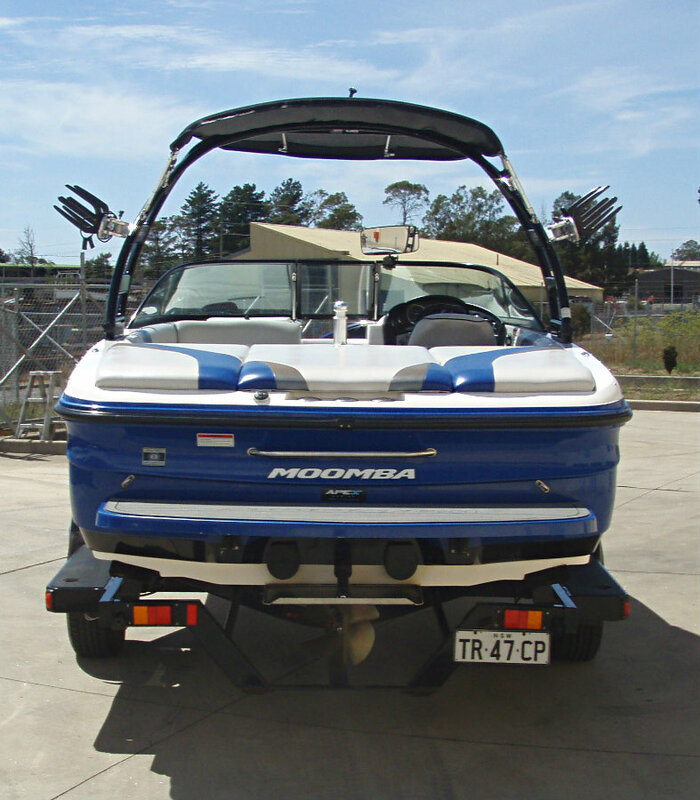 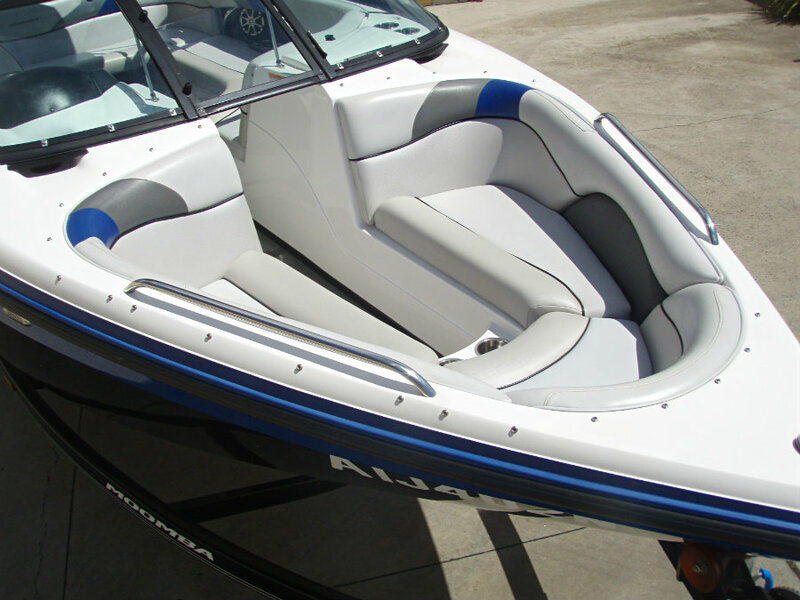 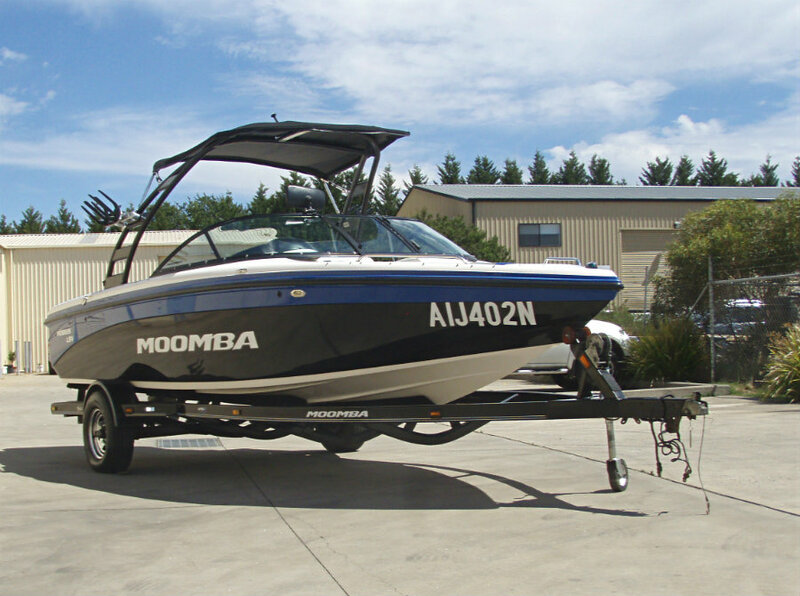 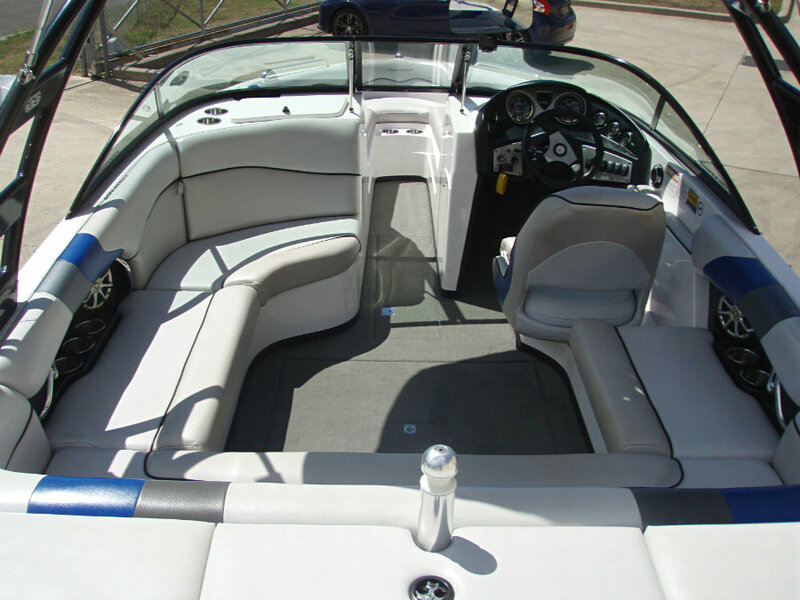 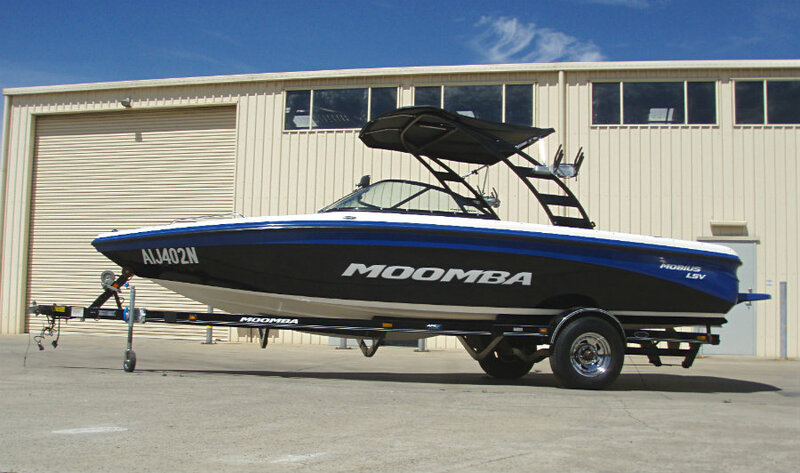 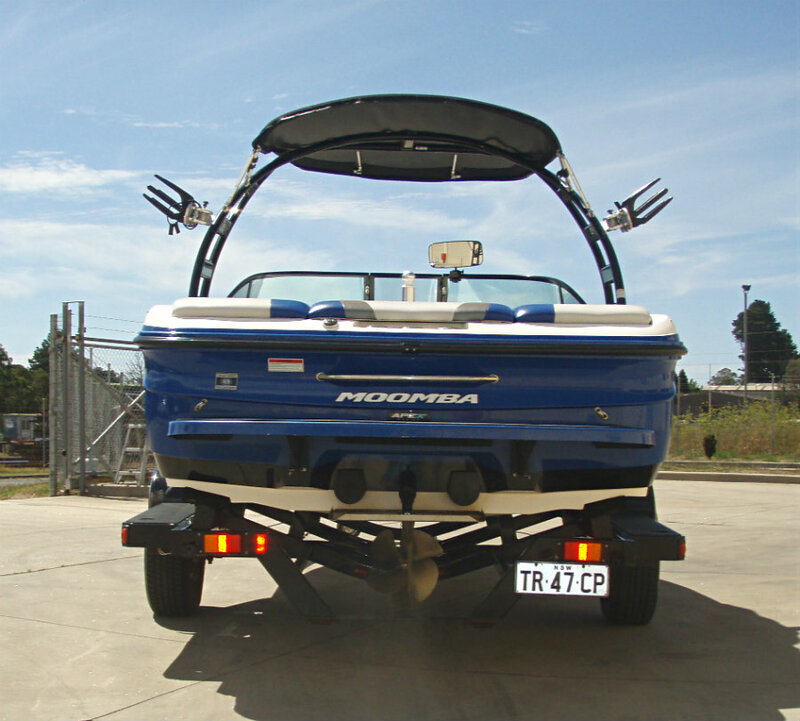 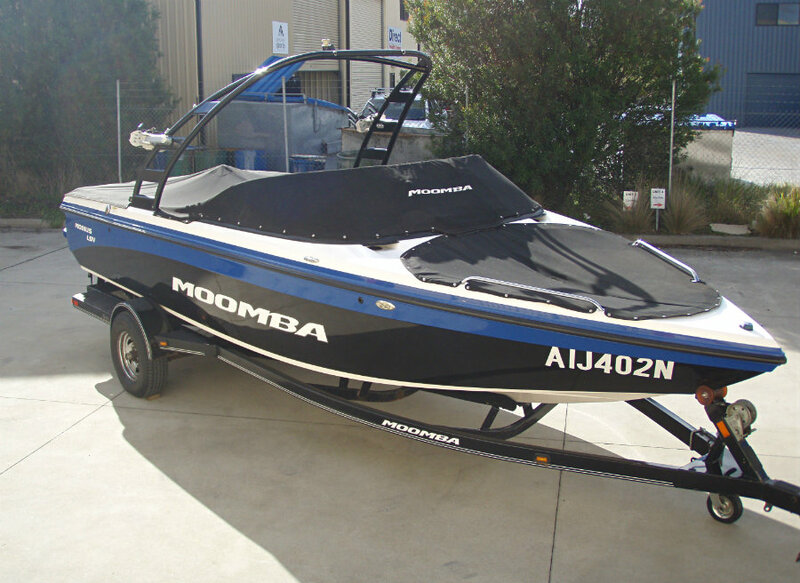 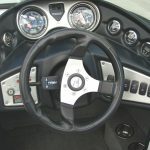 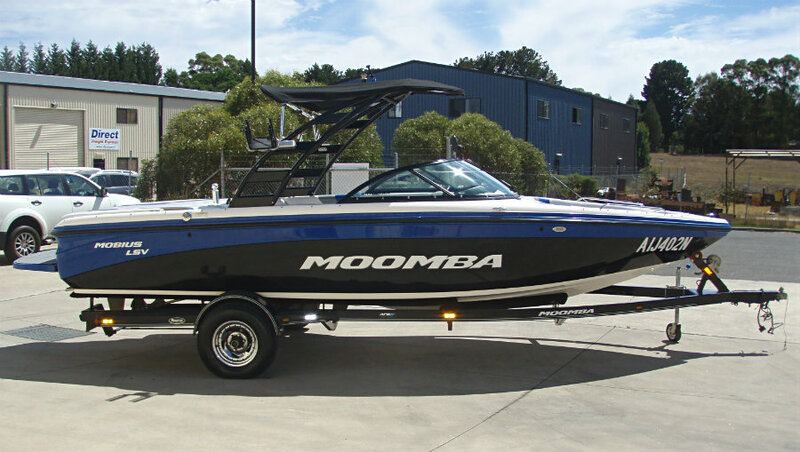 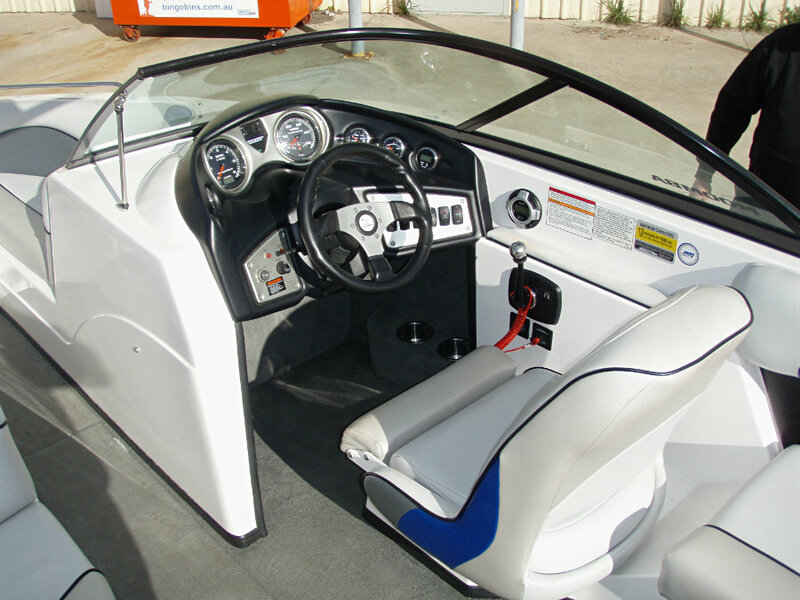 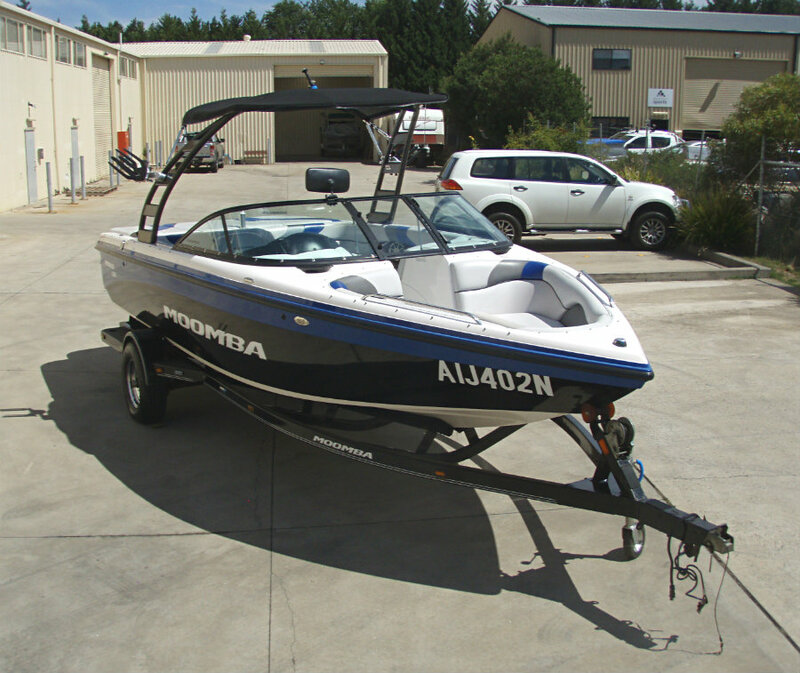 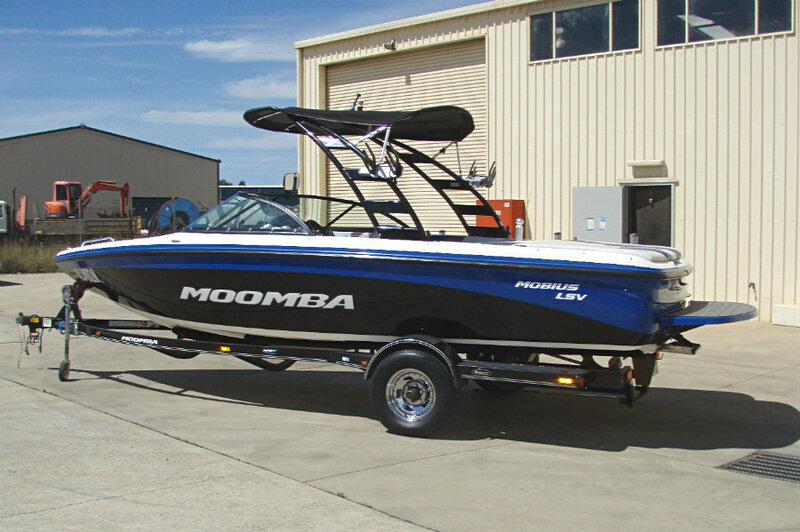 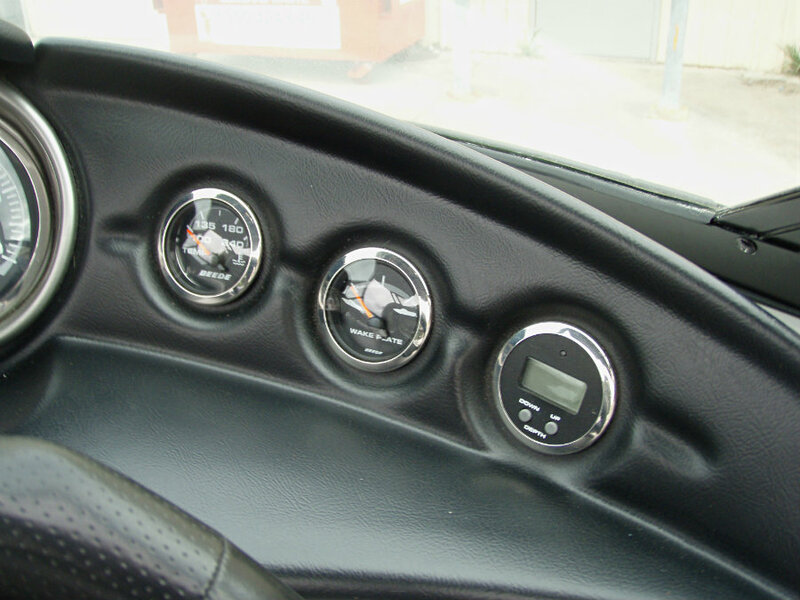 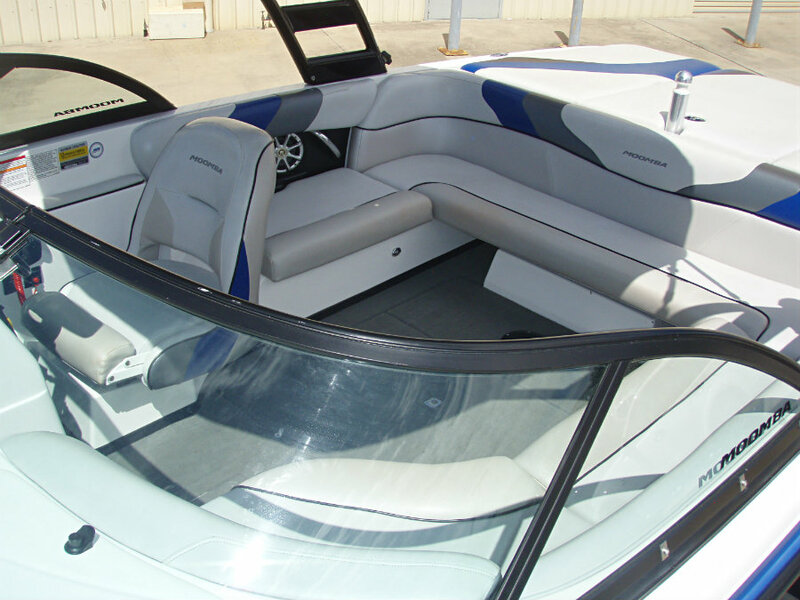 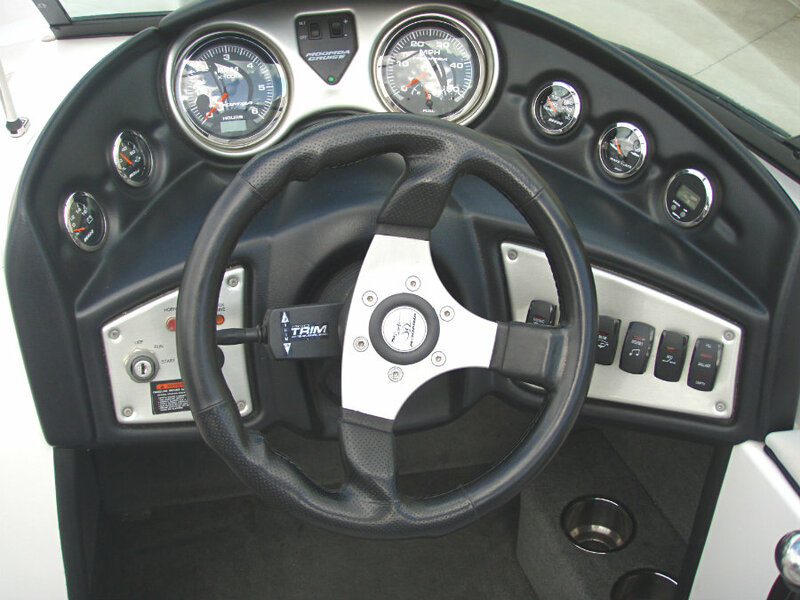 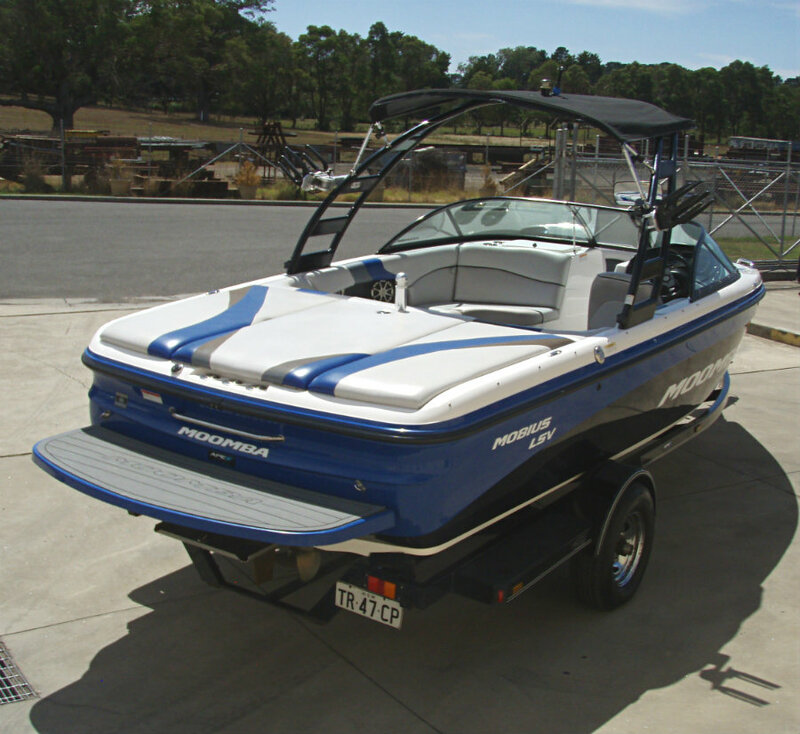 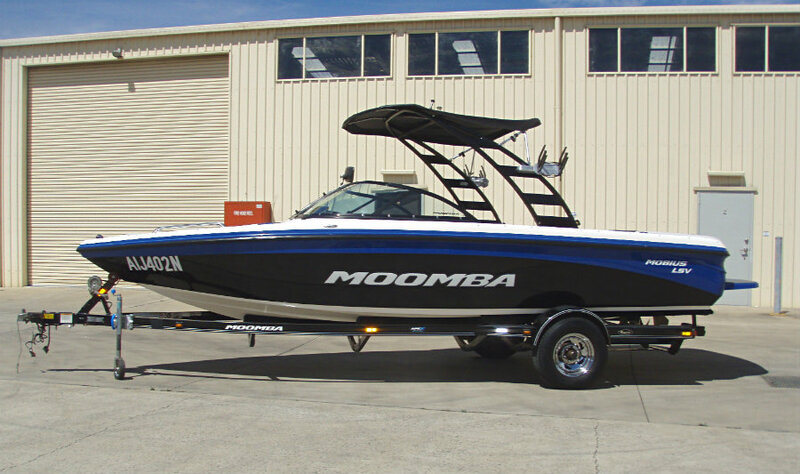 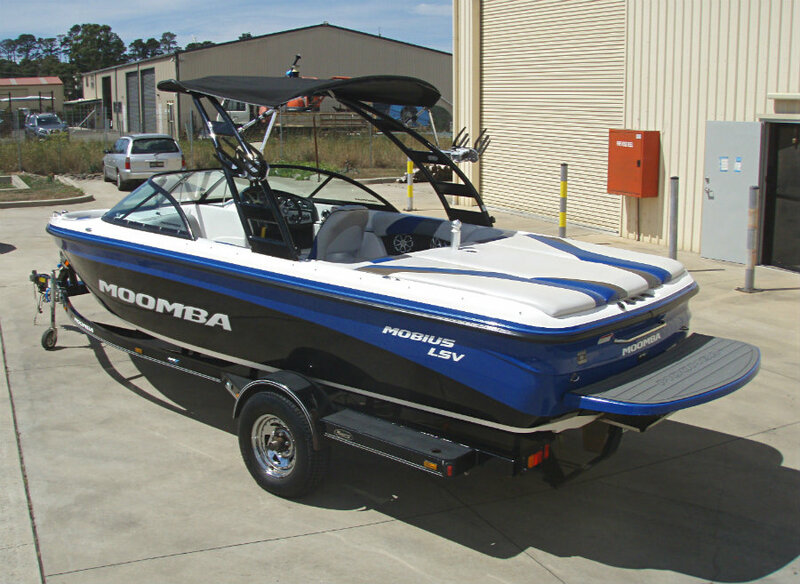 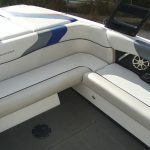 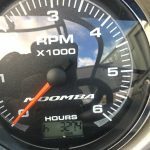 This is a lovely two-owner Moomba Mobius LSV showing only low hours of use. 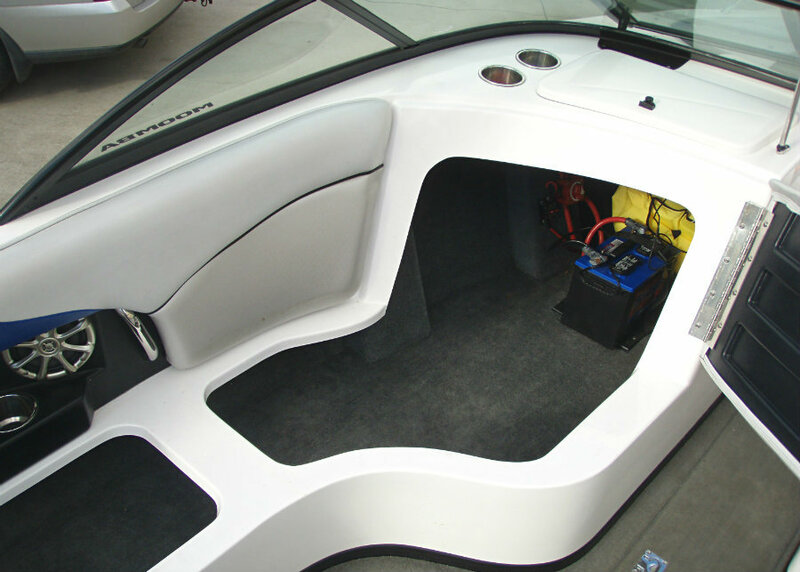 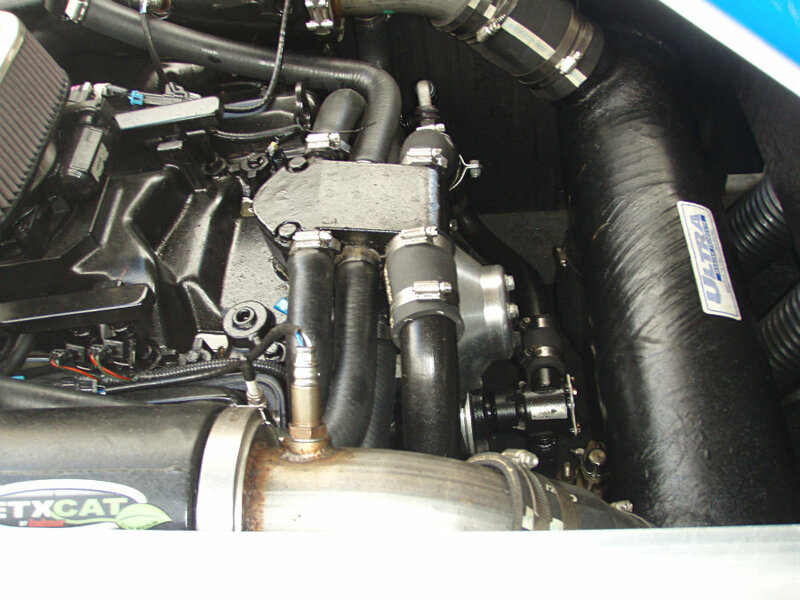 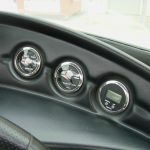 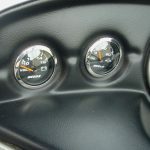 It has always been garaged, maintained and serviced regularly and it presents in very good condition both mechanically & cosmetically. 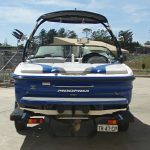 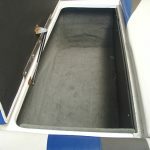 Both the Vessel (September 2019) & Trailer (May 2019) are NSW registered.